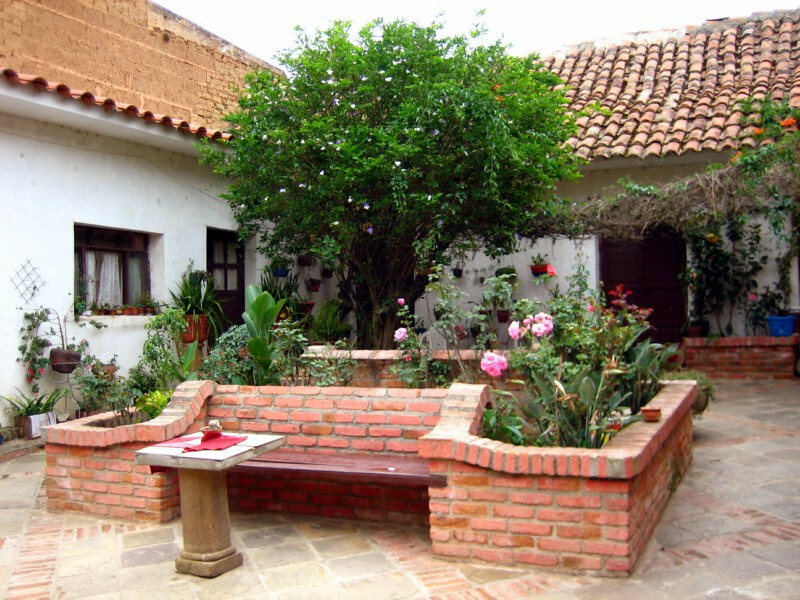 With sanDRina all ready for the Lagunas Route, I still had some things to source in Sucre, namely a down sleeping bag. 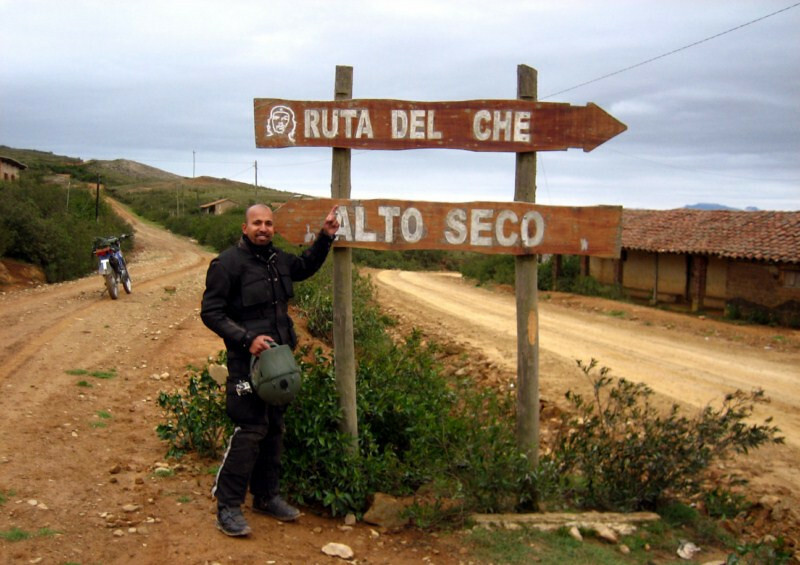 But between here and there was the Ruta del Che, some beautiful off-road riding through small towns and villages that played host to the final days of Che Guevara. 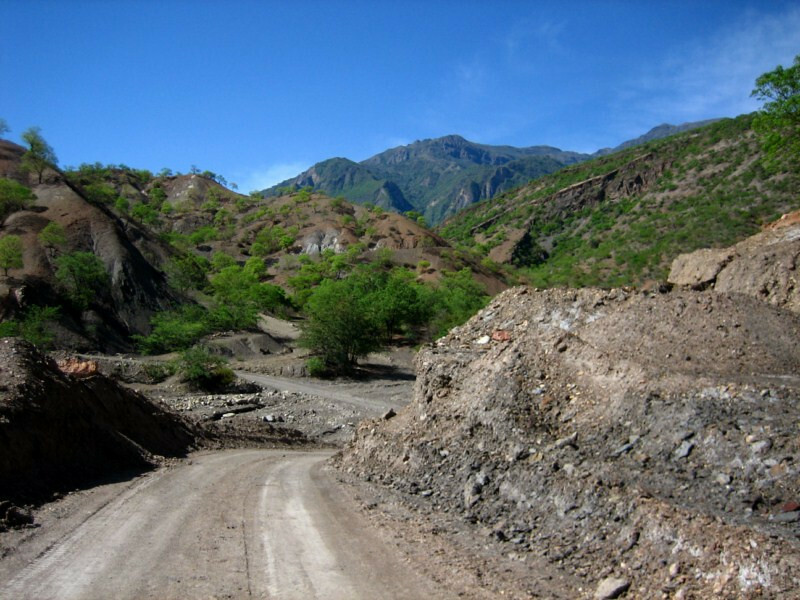 With Santa Cruz being at the foothills of the eastern flank of the Andes, the mountainous terrain started soon after leaving the city. Only an hour after leaving, my rear tire went flat. The patches on my heavy duty tube were leaking and it was time to part with it. I had ridden the whole trip, all the way from Chicago on that tube and kept patching it as punctures happened. However, the problem with heavy duty tubes is that they do get punctured from sharp objects and when they do, they are hard to repair perfectly due to the different compound of rubber that they are made from compared to standard tubes. I gave the tube to a local kid who was watching and put in a new standard duty tube that made it all the way back to Buenos Aires and beyond without a puncture. 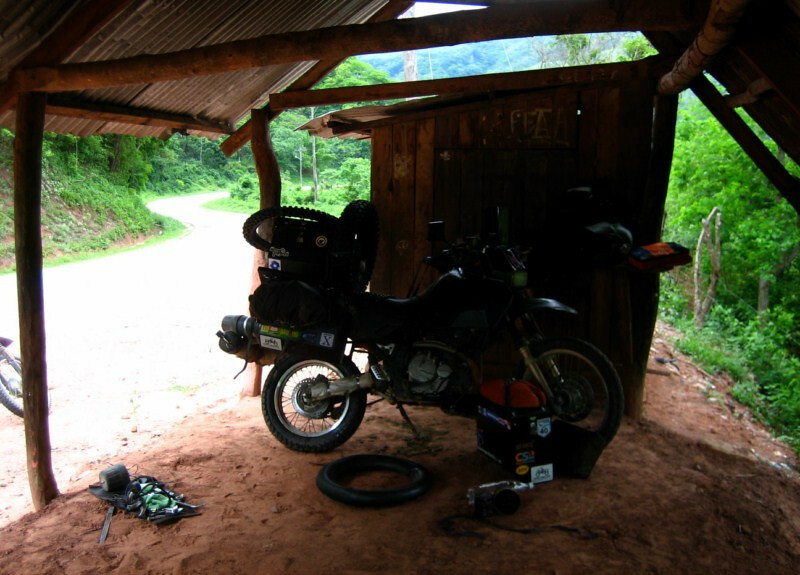 Stopping for the night in Samaipata, a small town just 120 kms (75 mi) from Santa Cruz. You know you’re close to Santa Cruz when there’s a sculpture to autonomy in the central plaza. 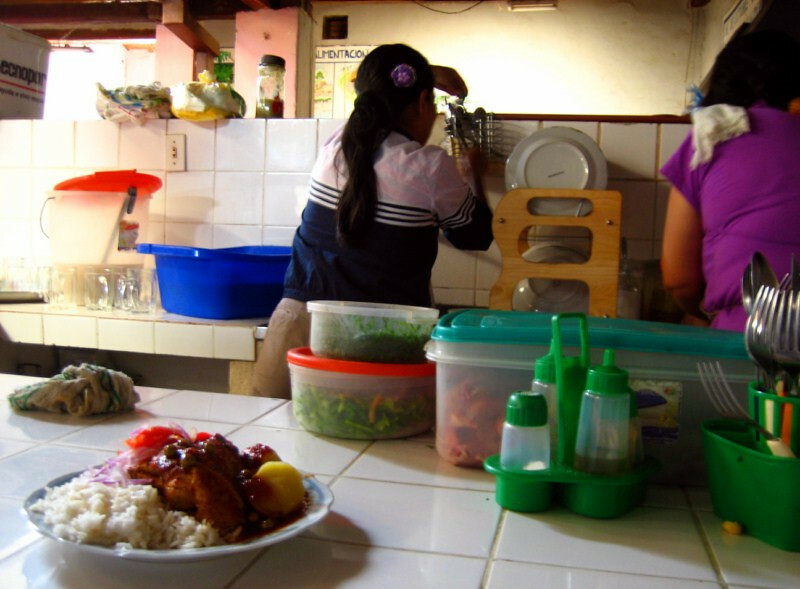 The town is on the gringo trail with restaurants serving western food, but I headed to the market and the eataries at the back for a plate of chicken and rice for B10. 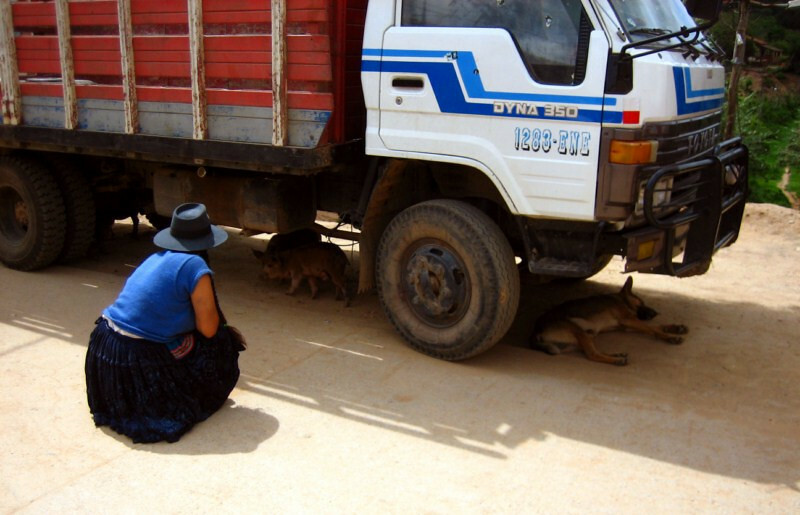 As I was walking back to my hotel, I saw this lady talking to the pig that was tied underneath the truck. Maybe she was giving it words of encouragement? 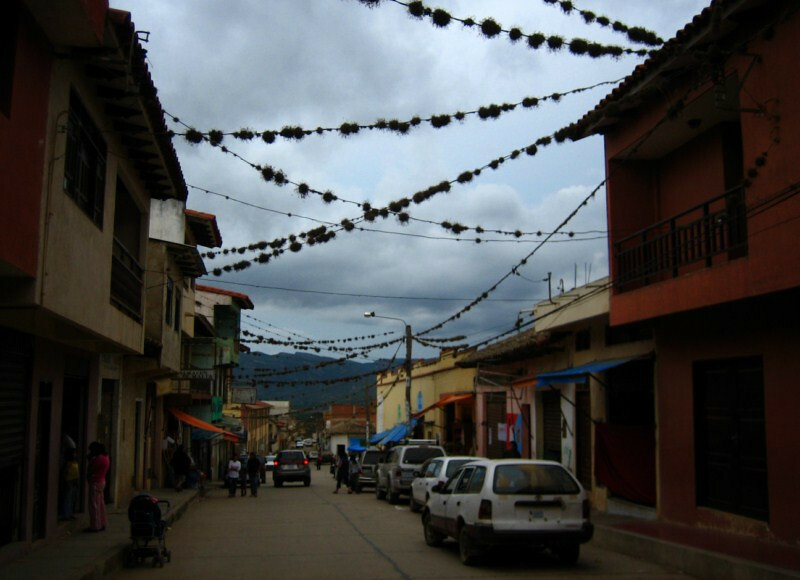 It’s the biggest town in the area and locals from the surrounding hills were selling produce from their farms. A pleasant hotel for B40. 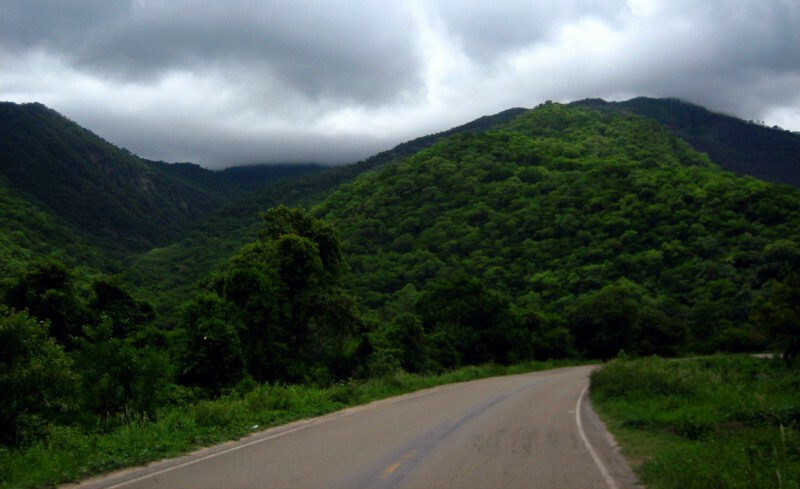 From Samaipata, there’s a turnoff heading south to the town of Vallegrande, the start and center of the Ruta del Che. 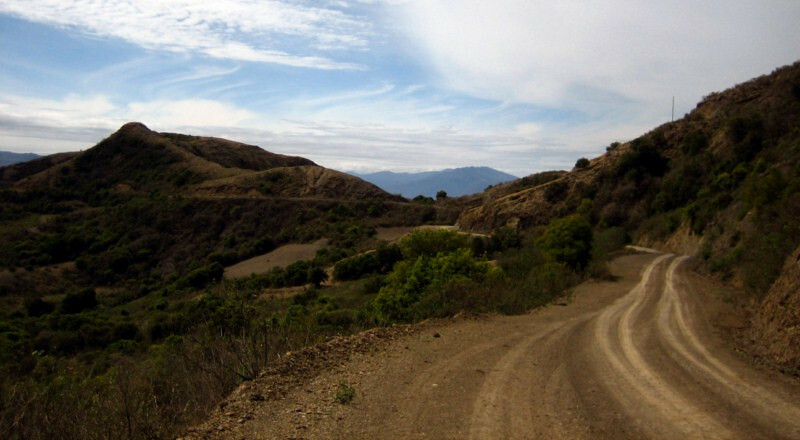 This part of the route was recently paved, but I was told the rest of the route was off-road and the rain clouds ahead didn’t bode well for the mud roads. 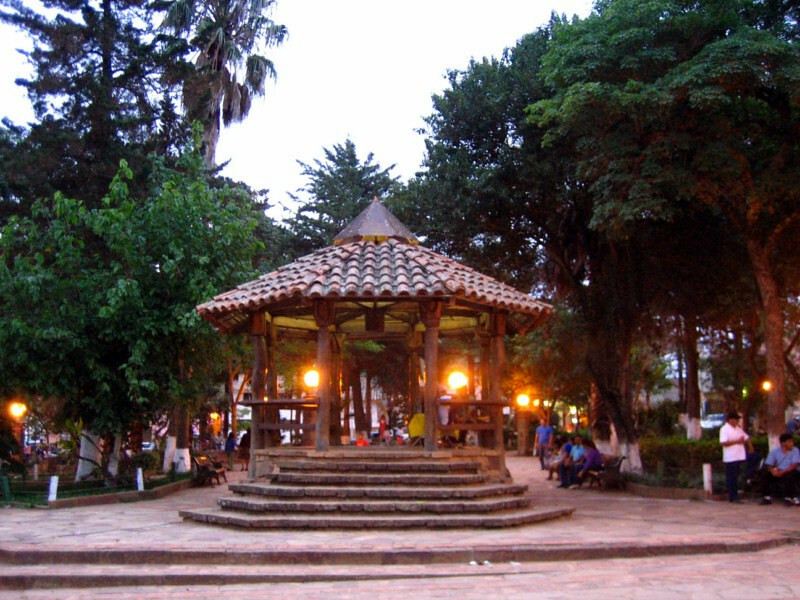 The central plaza of Vallegrande, a small town that was placed on the world map due to the events surrounding the death of Che Guevara. 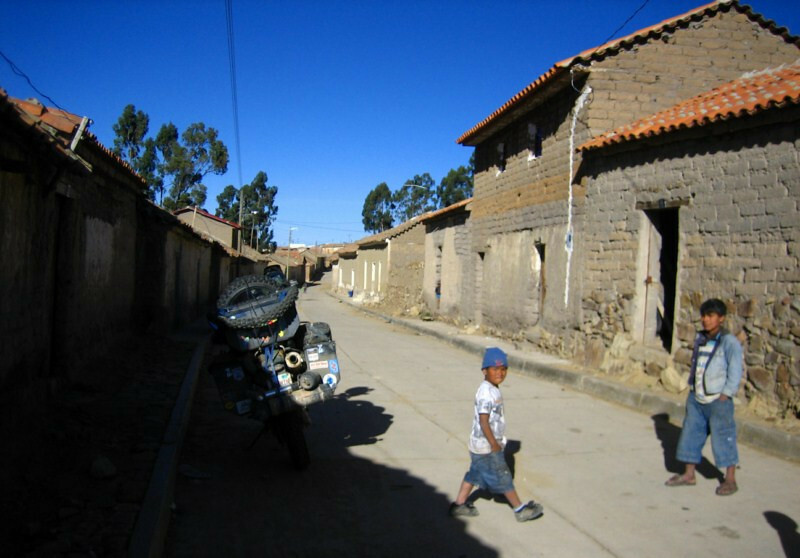 I would say it’s a typical small Bolivian mountain town with some development here and there, but life chugging along without too much change. 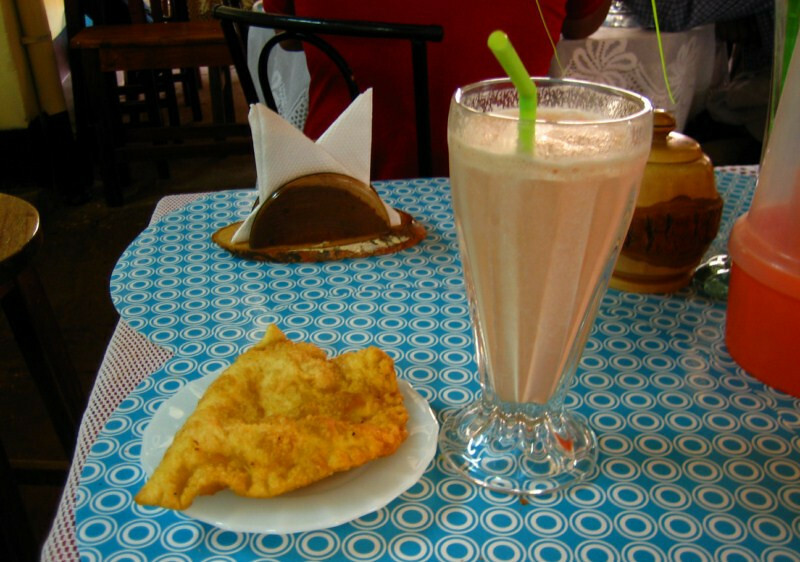 Having a snack in the central market of a papaya smoothie and some fried bread. 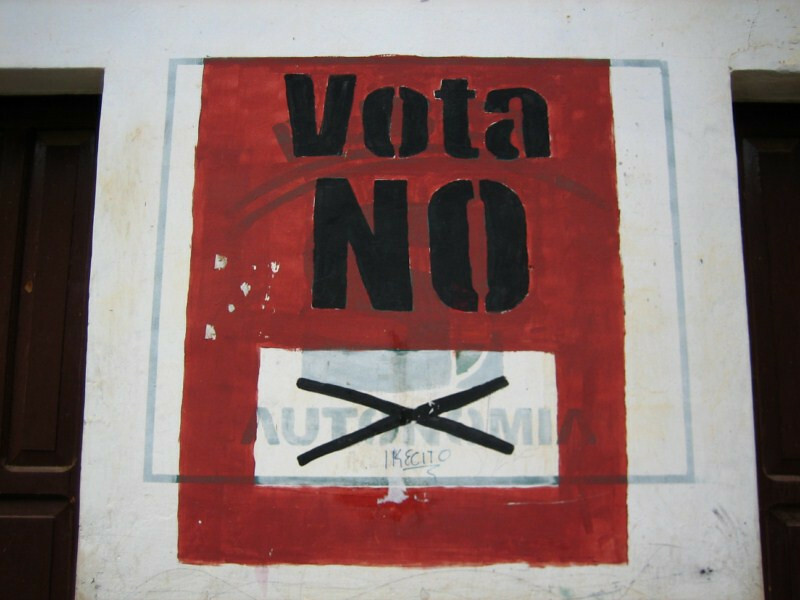 A sign asking residents to vote no on a referendum against autonomy from the central government. 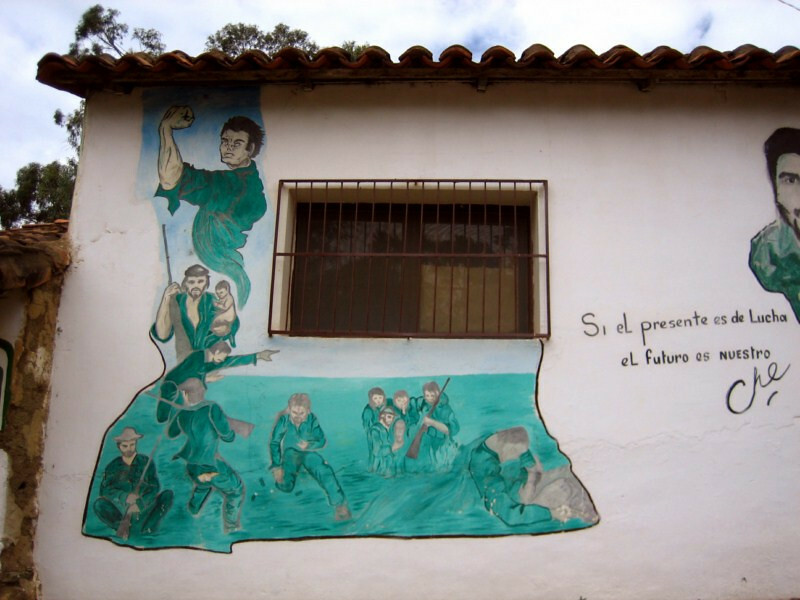 And now the story of Che Guevara’s final days. If his politics bother you, skip ahead, but if you respect his contribution to revolutionary movements around the world, read on. 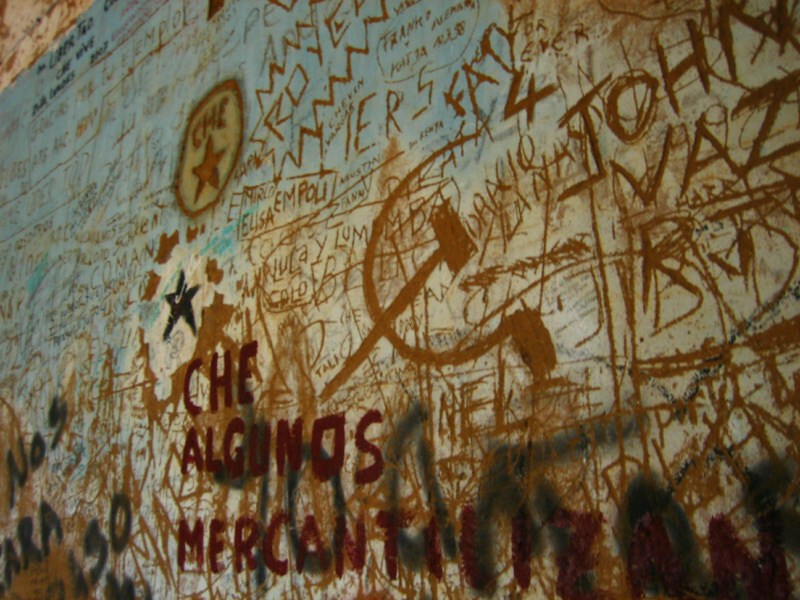 A mural to Che at the Hospital Nuestra Señora de Malta, where his corpse was brought to display to the world. 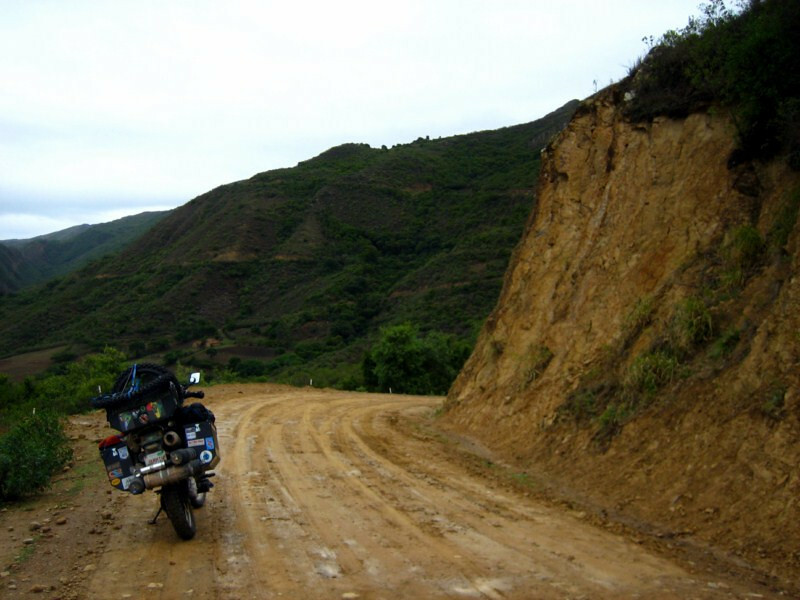 The Argentine doctor felt revolution was the only answer to the poverty he witnessed is his travels around Latin America. 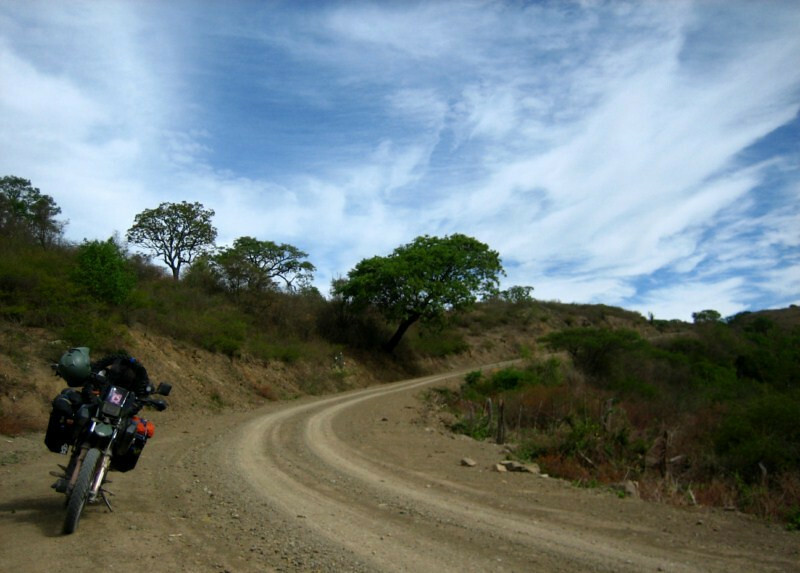 One of his journeys was on an old Norton 500 motorcycle in 1951 and was successfully captured in the movie “The Motorcycle Diaries.” After assisting and becoming a central force in the Cuban revolution, he desired to assist revolutions around the world. But much to his chargin, he did not find willing revolutionaries and some consider his life to have ended in failure. Regardless, he achieved a lot in only 39 years on this planet. 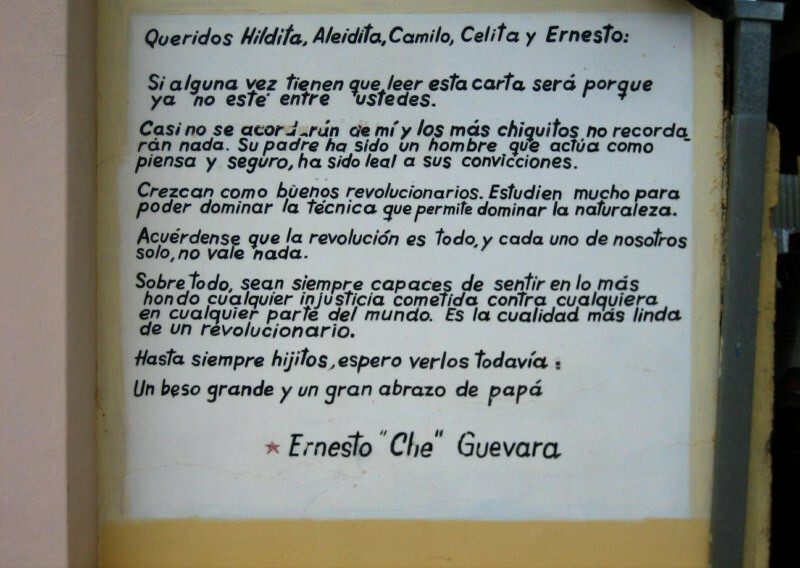 A letter Che wrote to his five children meant to be read after his death. 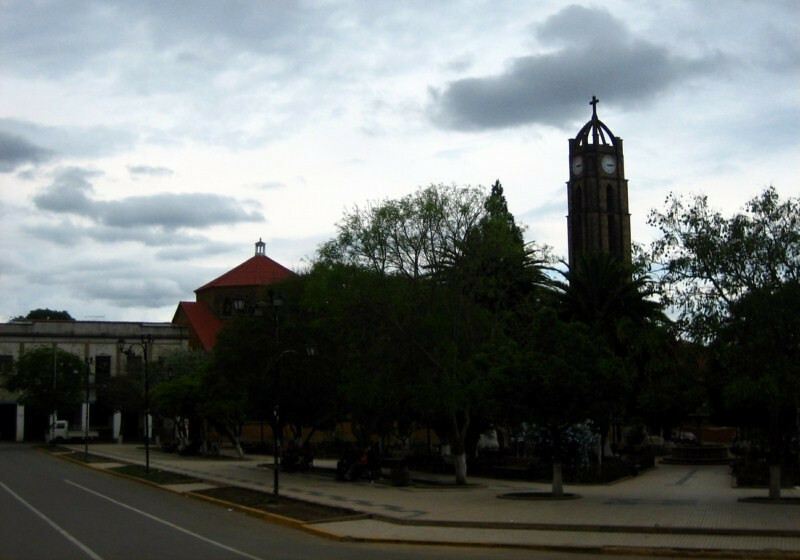 After an unsuccessful attempt to assist the revolution in the Congo, he embarked on his next project, where he felt Bolivia was ripe to ignite the revolutions around Latin America that had yet to happen. 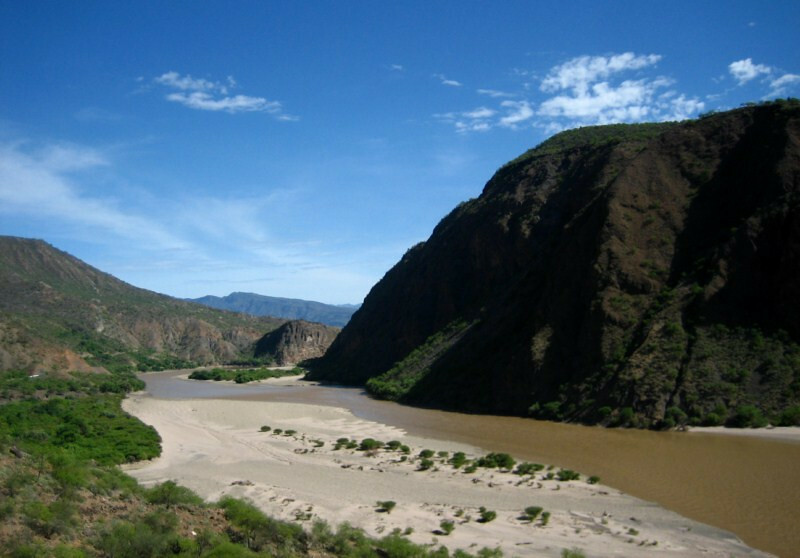 It is not sure exactly why, but he chose the remote Camiri mountains of southeast Bolivia to train a guerrilla force to fight the Bolivian Army. 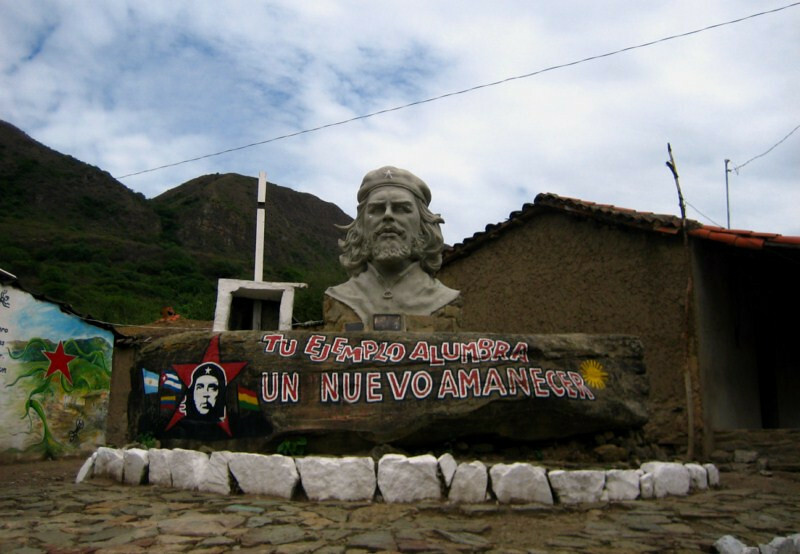 Many things worked against him: he underestimated the revolutionary desire of the local people, who were poor but not really discontent and the strength of the Bolivian Army was greater than he expected as they were being assisted by the CIA to counter this enemy of the USA. 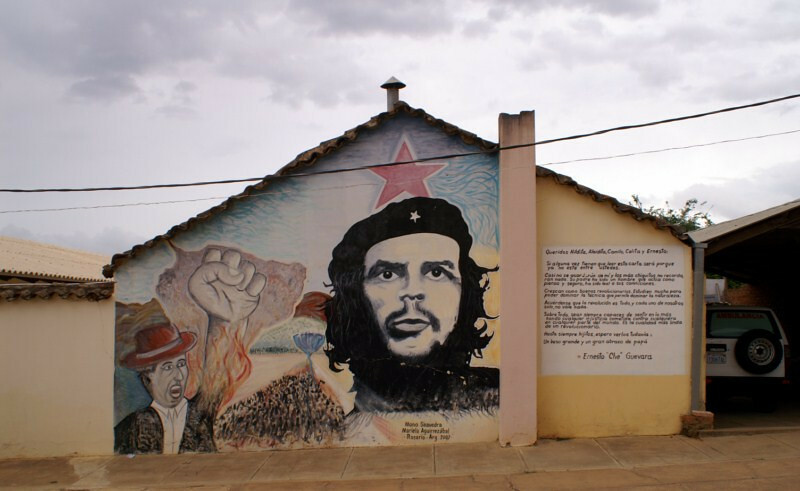 After being encircled in a canyon and wounded in battle, Che surrendered, only to be executed on orders of the Bolivian president to avoid a lengthy trial. 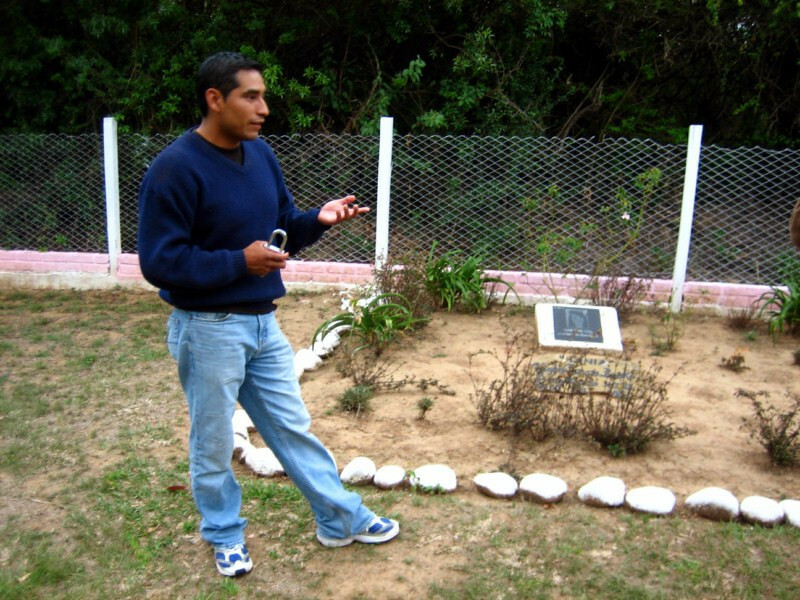 This all happened in La Higuera, a small village about 125 kms away, so the body was flown to Vallegrande and the world’s press was invited to witness the death of Che. His body was placed across these two shallow laundry basins and then photos were taken to prove his death to the world. They showed him off like a wild animal that had just been slaughtered. How foolish the authorities were to think that killing him would keep his story quiet, instead the opposite happened and he became an instant martyr to revolutionary causes around the world and generations of rebels, becoming a symbol of counterculture across time and societies. 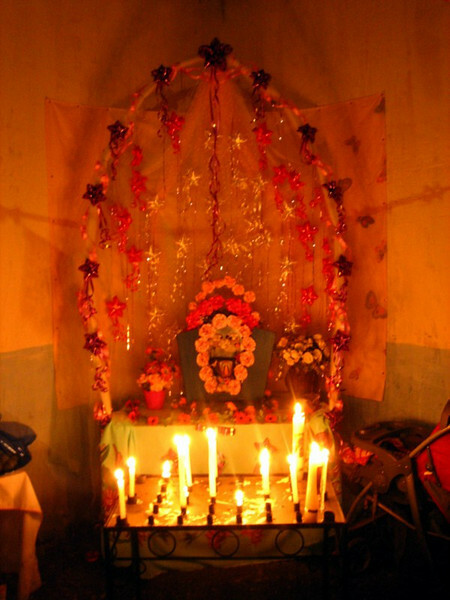 Fans and followers have visited this little laundry house over the nearly four decades since his death to communicate their support and worship. 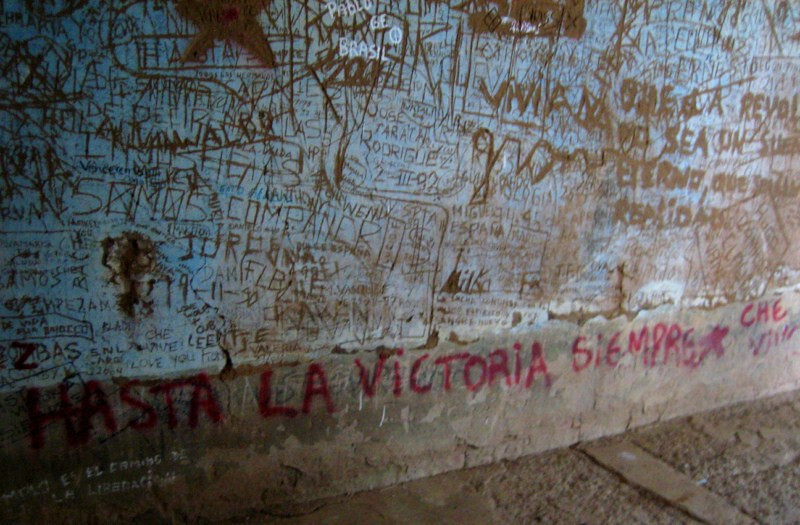 His famous slogan “hasta la victoria siempre” (until victory, always). 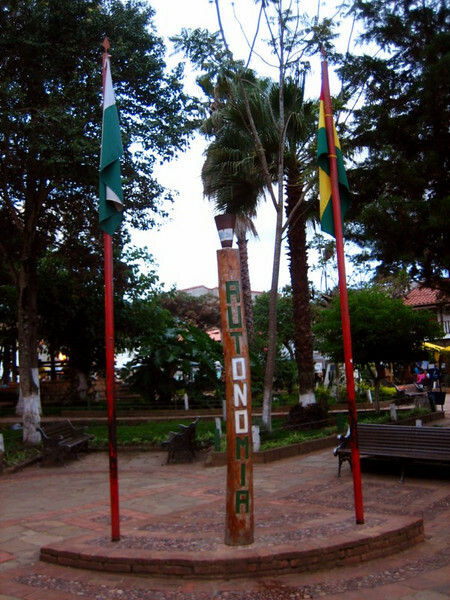 The tour around Vallegrande is done through the municipal’s tourism office and this is the only way to get access to all the sites. It costs about B90 and lasts about 2 hours. The guide was informative and speaks only Spanish. 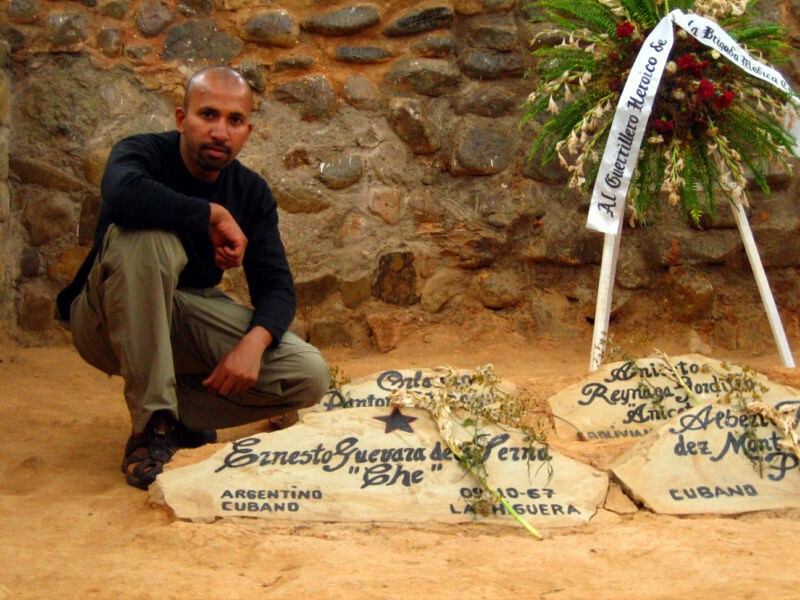 Besides Che, there are memorials to the other guerrillas that fought and died there. 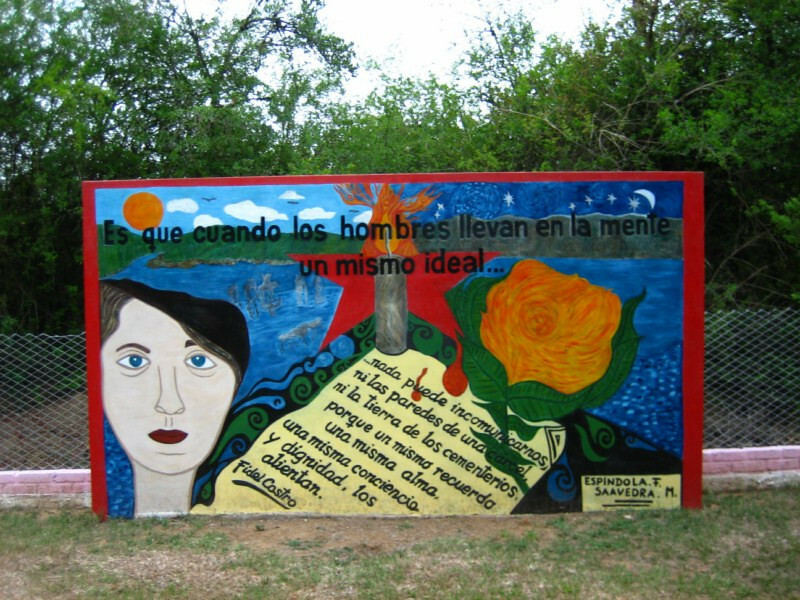 A poem and a mural at the cemetary. 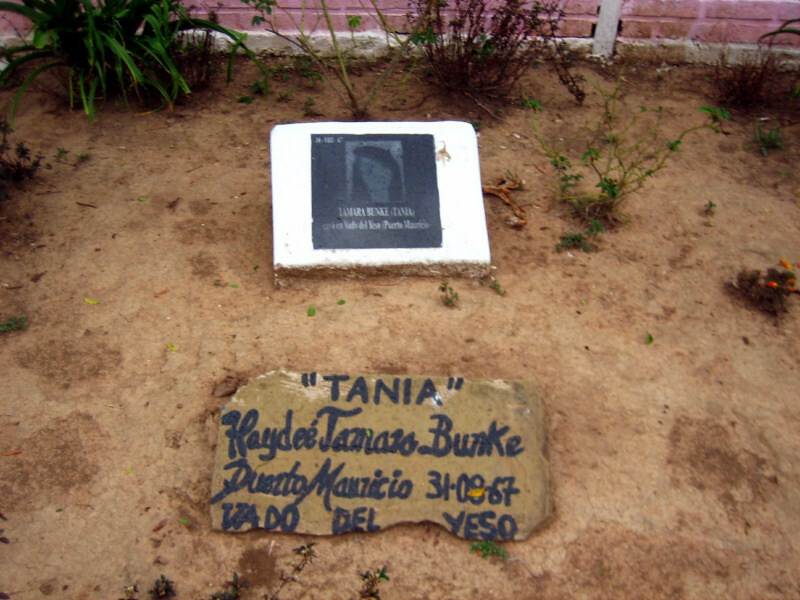 A memorial to Tania, an ex-Stasi (East German secret service) agent, who was placed in Bolivia to assist Che is also purported to have worked for the KGB and unwittingly lead the Bolivian authorities to Che’s whereabouts. Guevara was instrumental in developing the Soviet-Cuban relationship and with the US embargoes, this was an economic lifeline to them. He was also behind the plan that brought the Soviet nuclear missiles onto Cuban soil leading the world unwittingly to the brink of nuclear war in 1962 and he felt the backing down of the USSR and giving victory to the Americans was a betrayl to the Cuban cause and thereafter dismissed the Soviet Union as much as he did of the USA. He was also getting more friendly with Chinese communism, much to the irritation of Castro and the USSR. So, maybe all these events suggest that the Soviet Union also wanted him brought down. 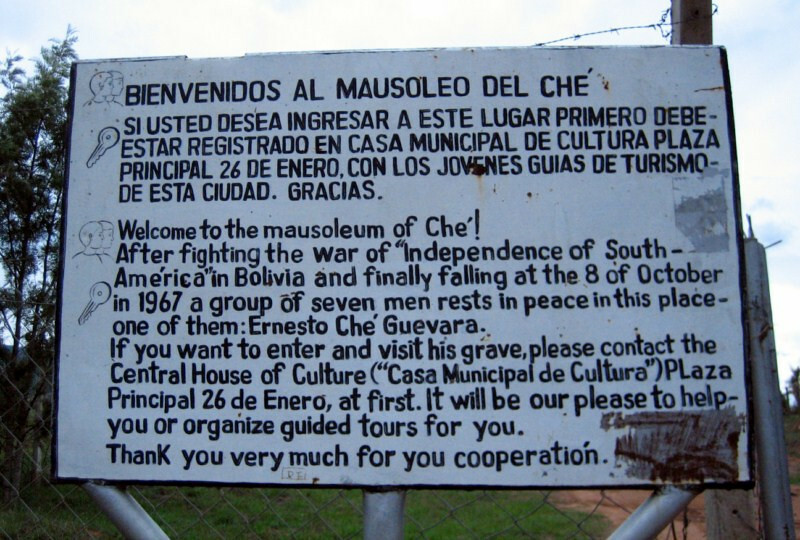 At the entrance to the mausoleum for Che. 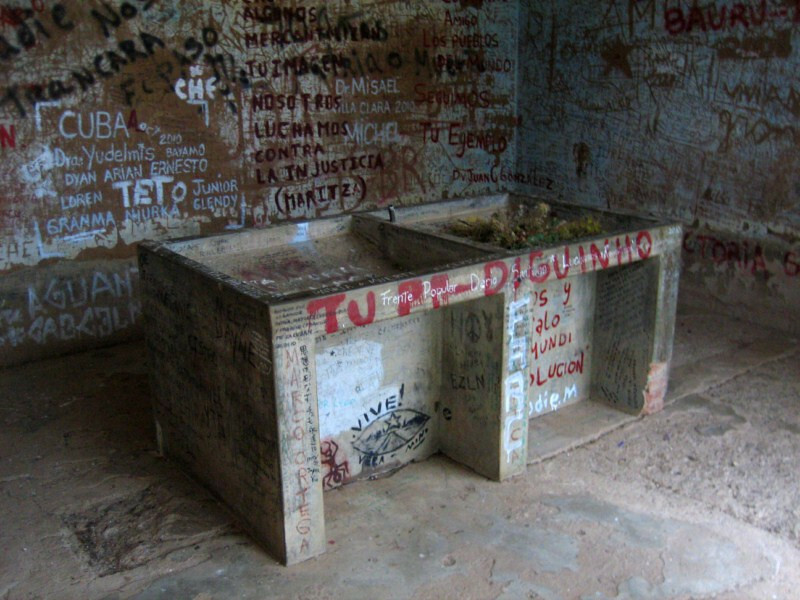 After the drama of showing Che’s corpse to the world, the Bolivian government made the story bigger by hiding his body and not telling anyone where it was. They thought his corpse would be dug up and made into a worship site. Ironically, that is exactly what happened after a lot of fuss. 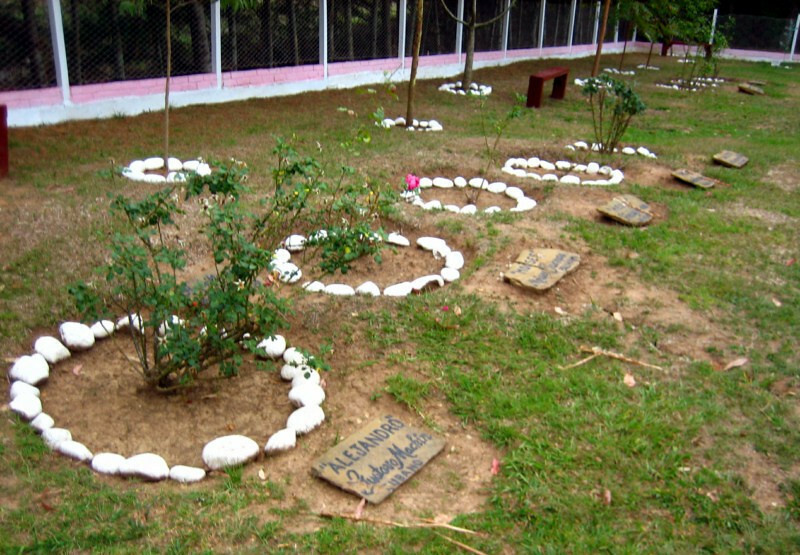 In 1995, a retired general revealed that the bodies were hastily burried near the airstrip in Vallegrande and a search was carried out for the corpses. 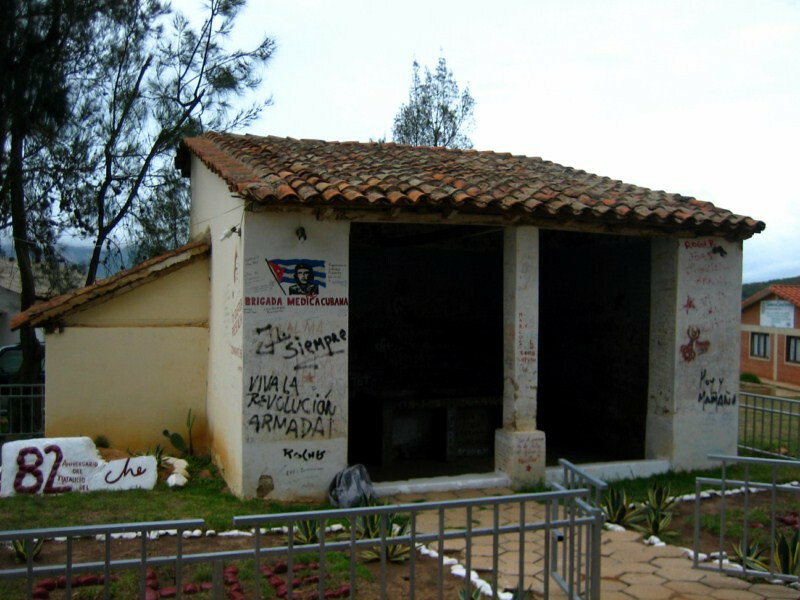 They were found in 1997 and the remains were taken to Cuba to be given proper honors and this mausoleum was built on top of that site. 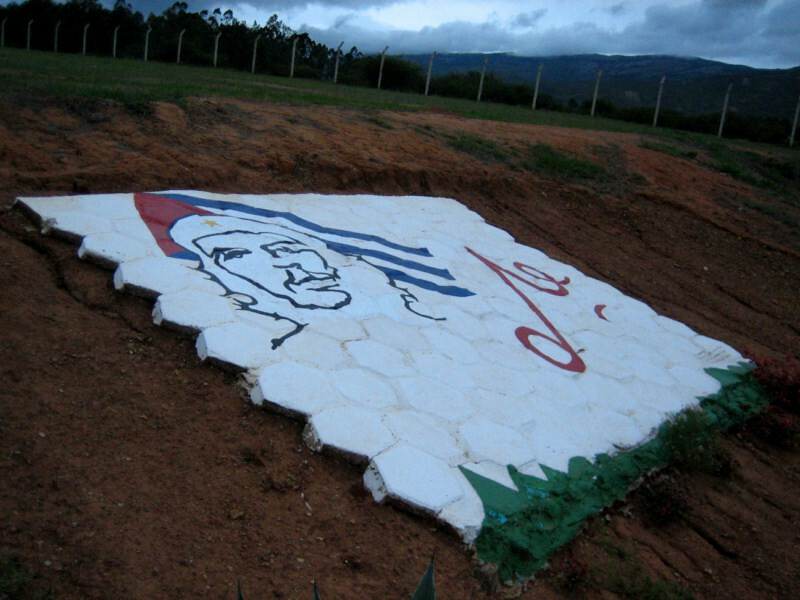 Bringing the body of Che back to Cuba came at a good time for Fidel Castro as he needed something to keep up the revolutionary spirit on his island. Castro’s Cuba obviously benefited enormously from Guevara’s influence. Castro admired Che’s intellect as he made literacy a top priority, which the country is benefiting from today, but the two men also disagreed on many things during their partnership, such as Che’s dogmatism and strict adherence to ideology. 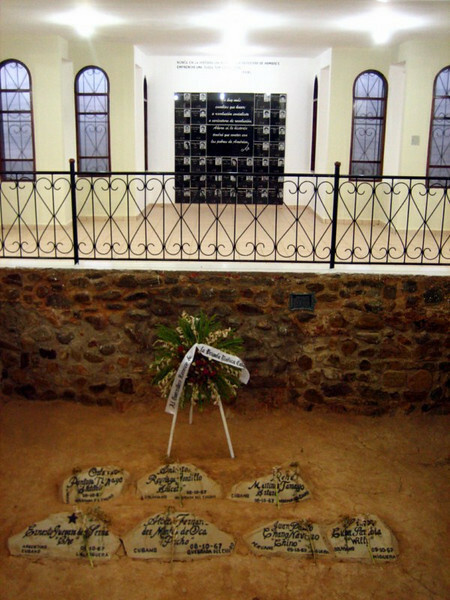 Inside the mausoleum with the grave stones of the seven men that were found to be hastily buried here in 1967, only to be rediscovered 30 years later. With the man that put the word of revolutionaries into action and met his expected fate, albeit much sooner than anyone thought. His presence is so endearing today because he was not a simple thug touting Marxist principles, but is seen as a deep intellectual who was searching for the correct way for humans to live. Instead of aimlessly asking what the purpose of life should be, he went out and created the life he thought should exist on this planet. History will look on these type of figures and state their ideals were ahead of their time, but actually, progressive thinkers of every era are the ones who create the stories that are later told in history. 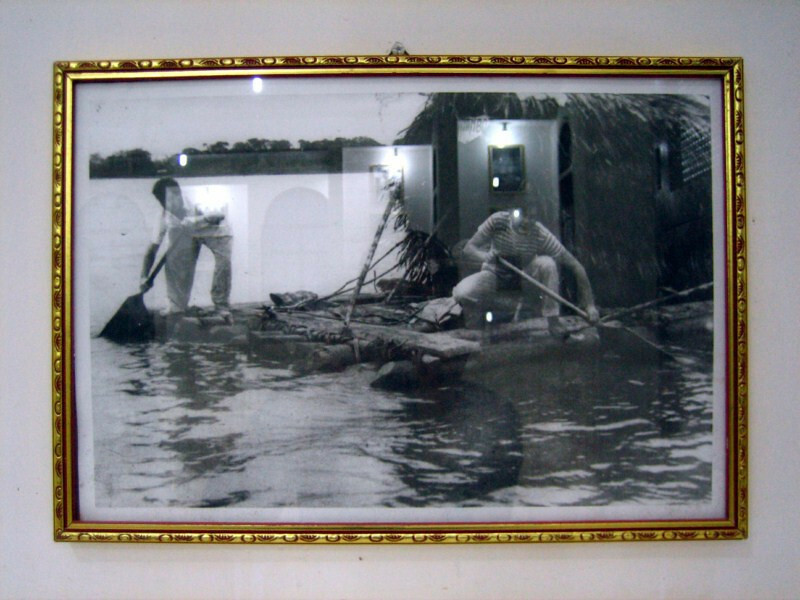 There are various photos on the walls of the mausoleum and if you’ve seen the movie, you’ll remember this raft that was made by the lepers in Peru and named the Mambo-Tango, since Che wasn’t a good dancer and couldn’t discern between the sounds of tango and mambo. After the tour, our guide, Mauricio said there was a party that night and we were welcome to join (I was with two Colombians from Bogota who were traveling around Bolivia). 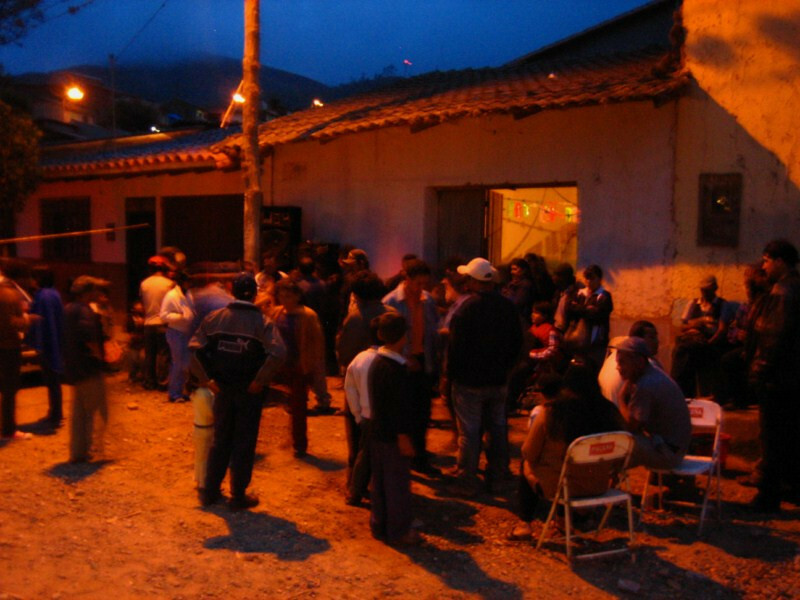 Bolivian street party in full swing. 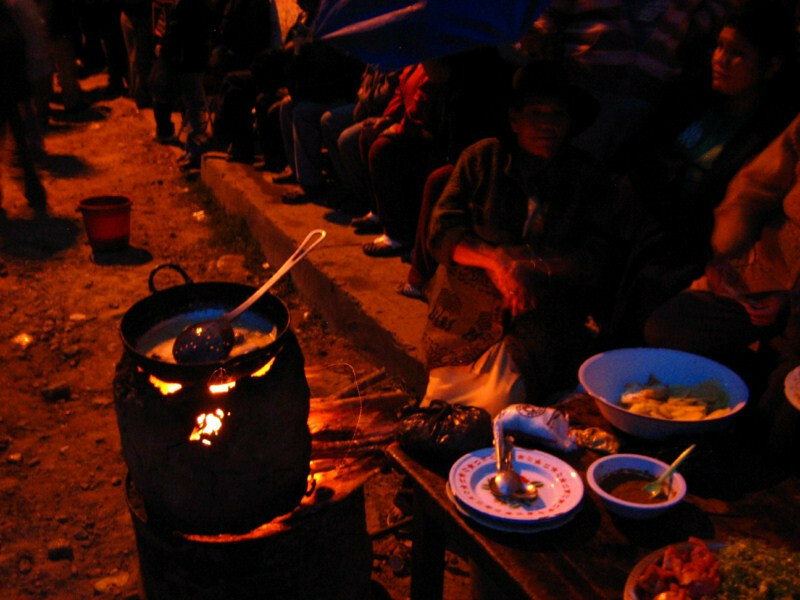 What’s a street party without some fresh street food? This lady was frying up some meats and potato. The patron saint who the party was in honor of, but I don’t think most people cared. It was an occasion to get together and celebrate. 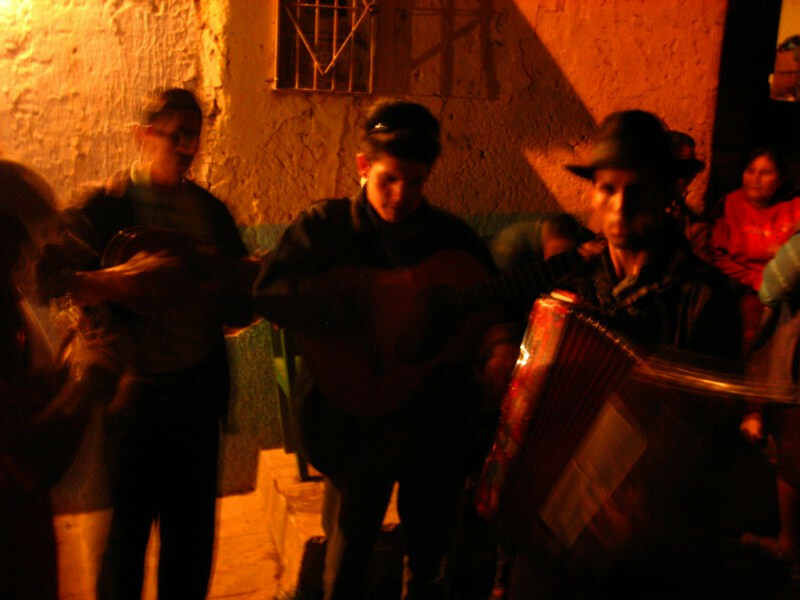 The musicians were strumming out the Andino wino music and were chewing huge wads of coca leaves in between swigs of the local alcohol, chicha cochabambina, a fermented corn drink. 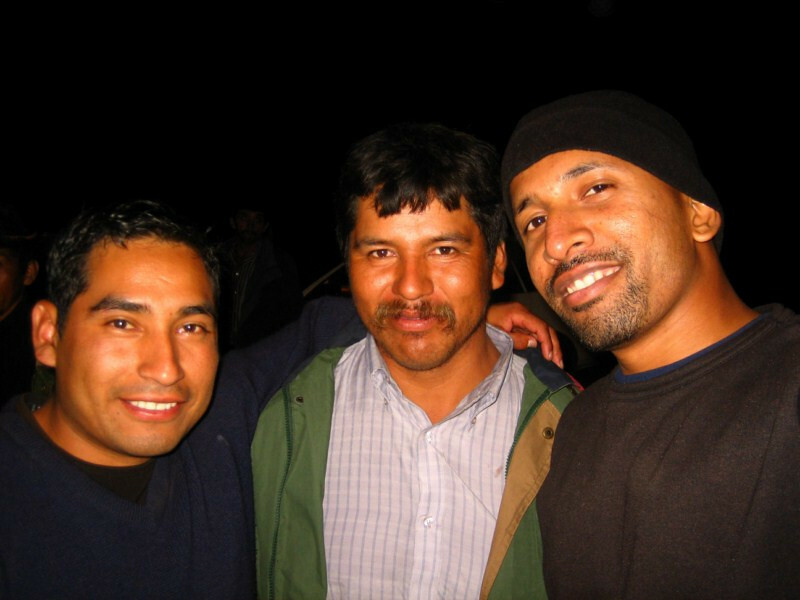 A nice night out in the streets of Vallegrande with Mauricio and the owner of the place that threw the party. 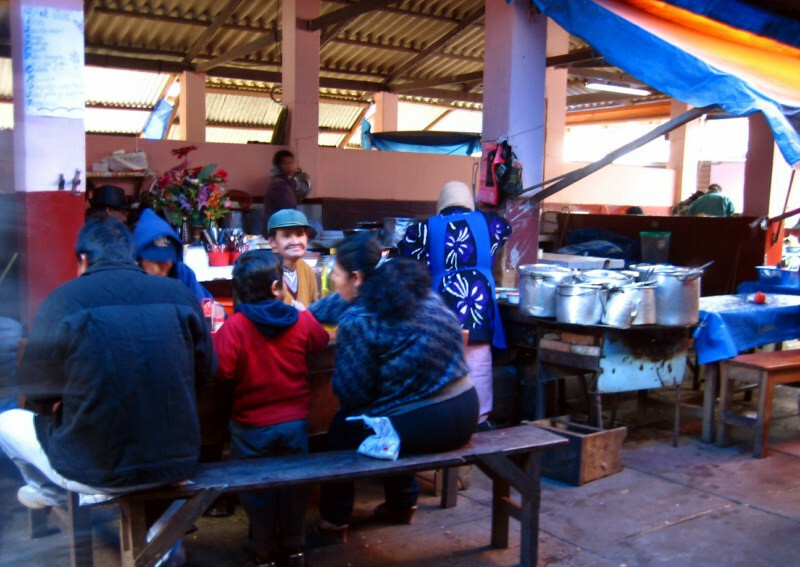 Getting some breakfast the next morning at the mercado. 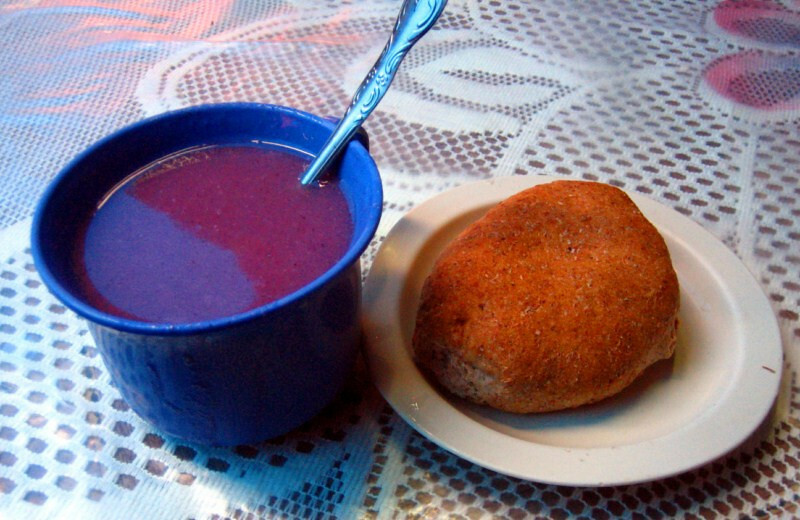 A hearty soup with some meat and potatoes. It was going to be a long day’s ride, so I stocked up on the calories with an api drink, which is made from corn, lemon and cinnamon. 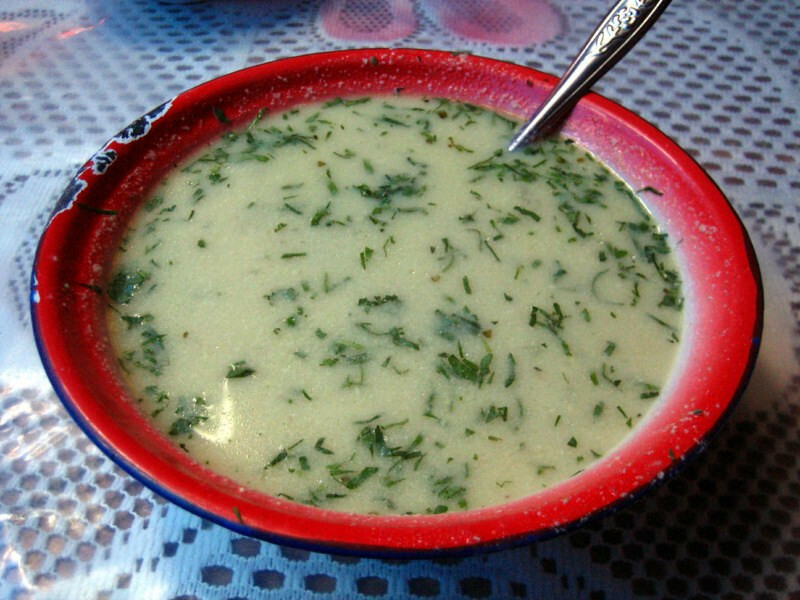 I like its viscous, grainy texture and being served warm makes it enjoyable for the body. And who doesn’t like a purple drink. 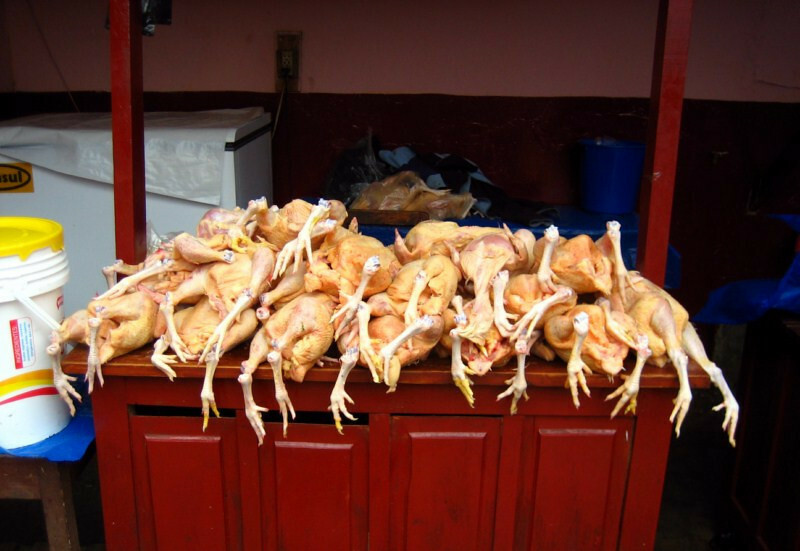 Enticing chickens in the meat section. You have to generally walk past this section to get to the ‘food court’ of a market. 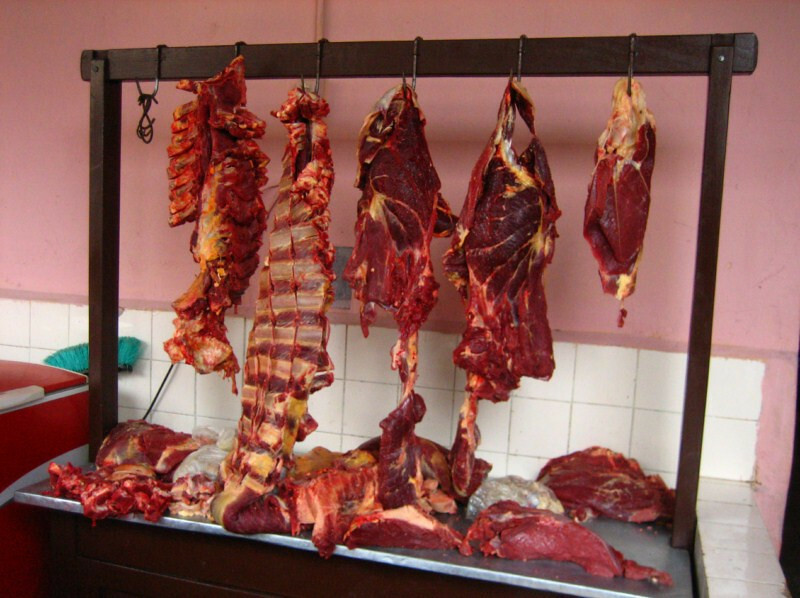 Chunks of red meat from grass-fed cows. My comfortable hotel in the centro for B25. I usually ask for a shared room and most of the time, there’s no other guests. 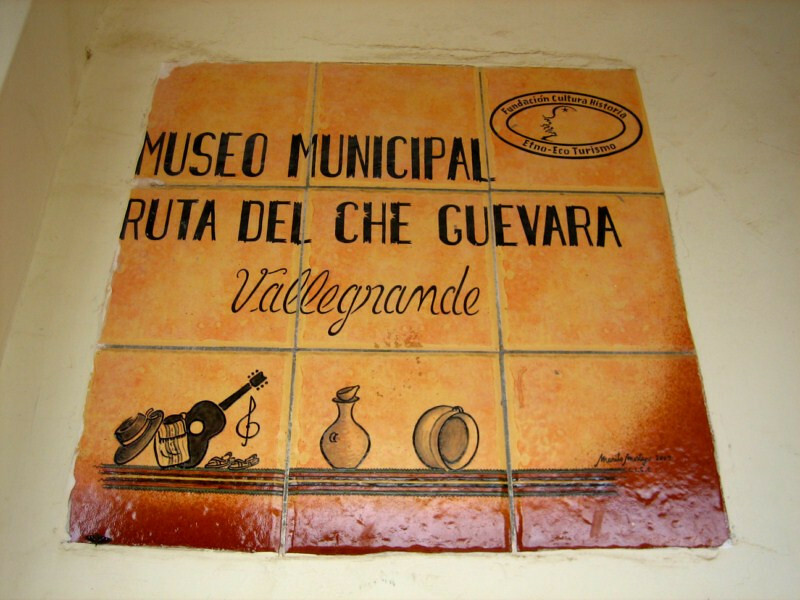 From Vallegrande, external donor organizations have provided the information for self-guided tours in the area following Che’s story. They did this as a way to encourage tourism in the area. Even if it wasn’t for all the Che story in the area, this route is quite an adventure. Luckily the rains from the previous day didn’t make the mud roads impassable. 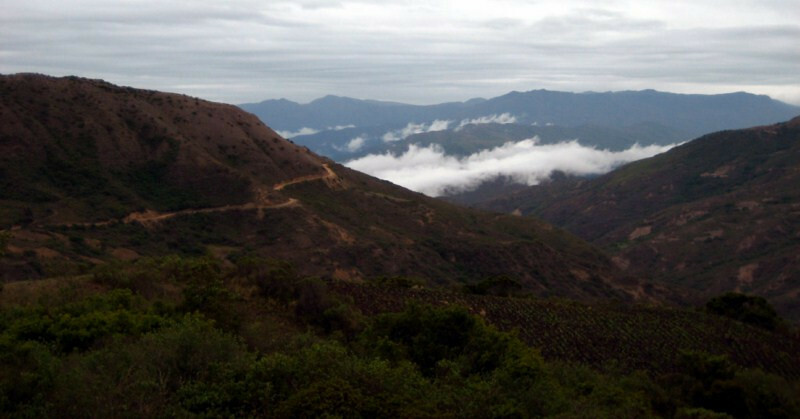 The day was overcast and it got very chilly as the route climbed up and over a mountain ridge. 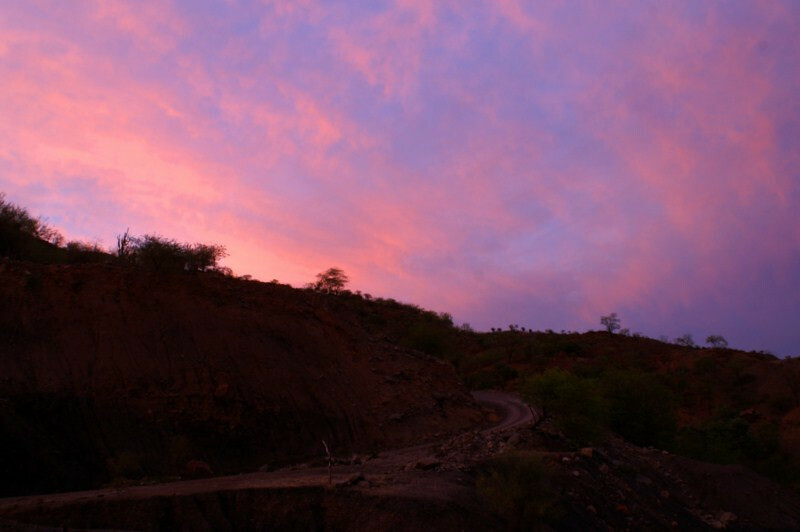 …epic views. You know you’re gaining elevation when you’re higher than the clouds. 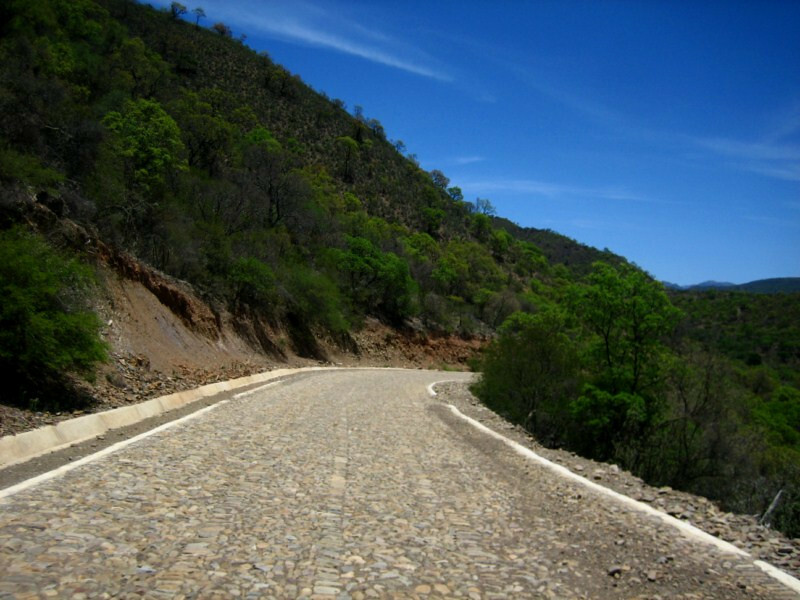 The route summited at 2,817 m (9,240 ft). Looking back at the way I came, winding up the mountainside. 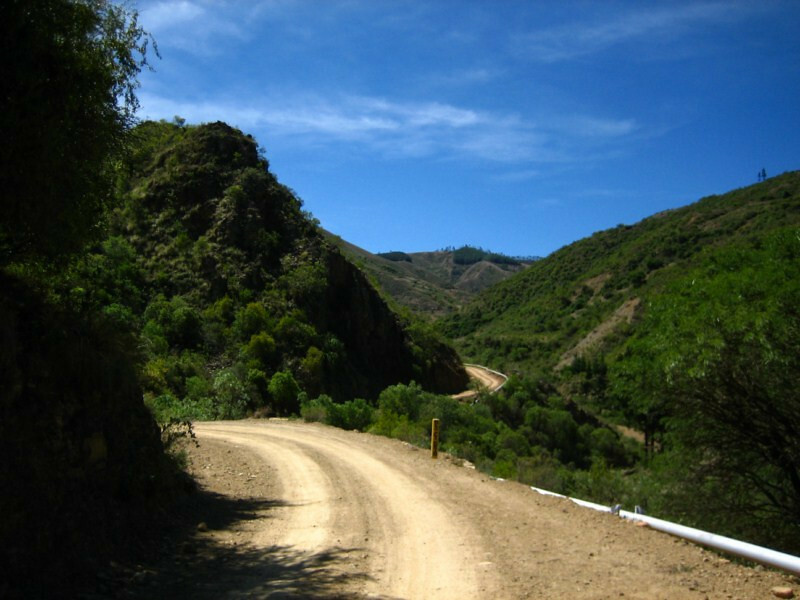 The route is well-signed with indicators pointing the way to La Higuera. 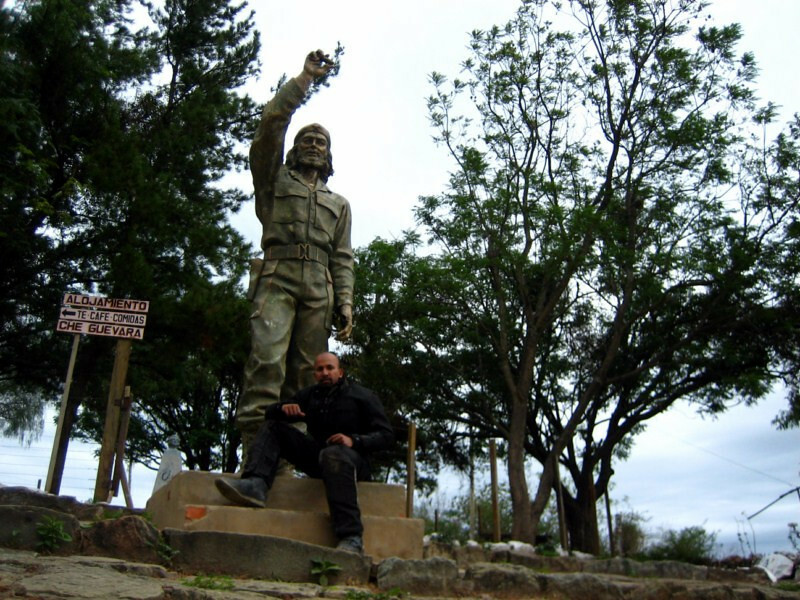 The French intellectual Régis Debray spent some time with Guevara and his guerrillas in the jungles of Bolivia and relayed that Che sensed his end was near and was ‘resigned to die in the knowledge that his death would be a sort of renaissance’ to freedom fighters around the world. 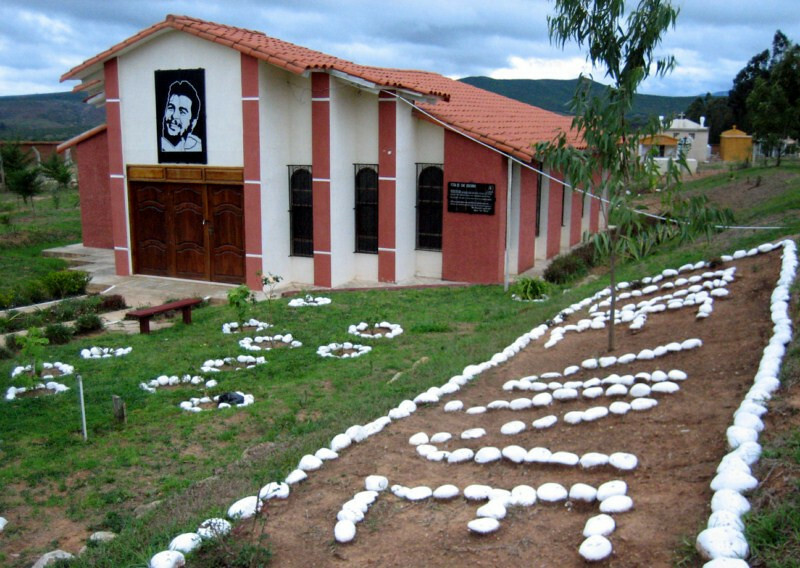 The cause that speaks to me about Che was his desire to raise the consciousness in every individual about how they should live based on moral principles and this will only be achieved through introspection. Alas, overcoming human nature’s follies has been every revolutionary’s greatest struggle. His legend will live on as an icon of rebellion. And to illustrate how commercial his image has become, there’s a hotel in his name, serving tea and coffee to the left. 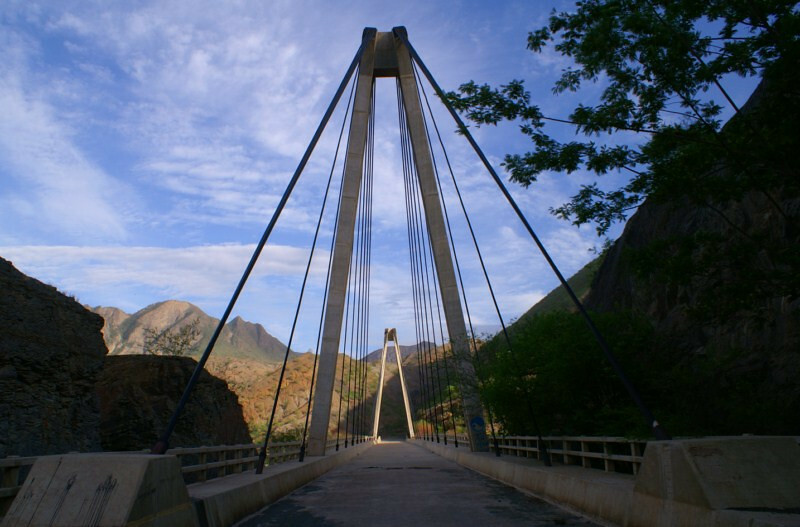 Hearing that there was a bridge across the Rio Grande down in the valley with a place to camp, I headed out there instead of staying in town. 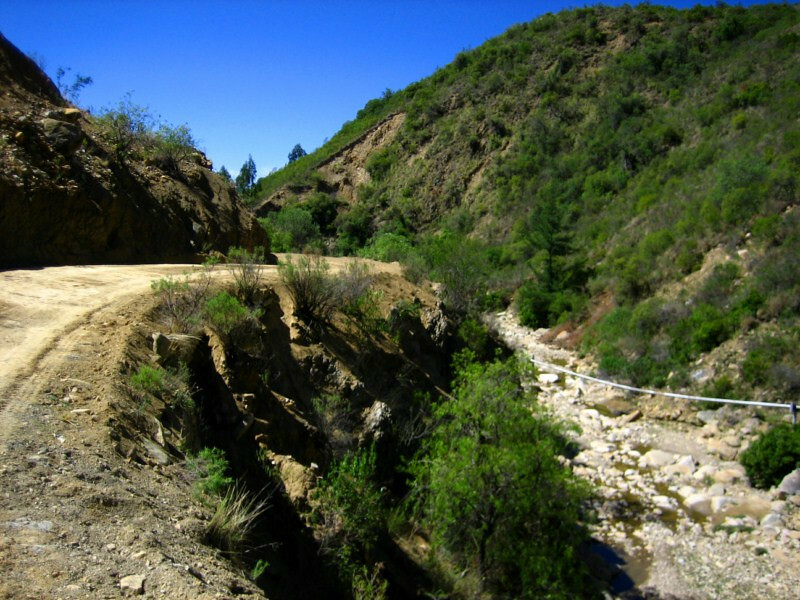 The road steadily dropped down to the valley. 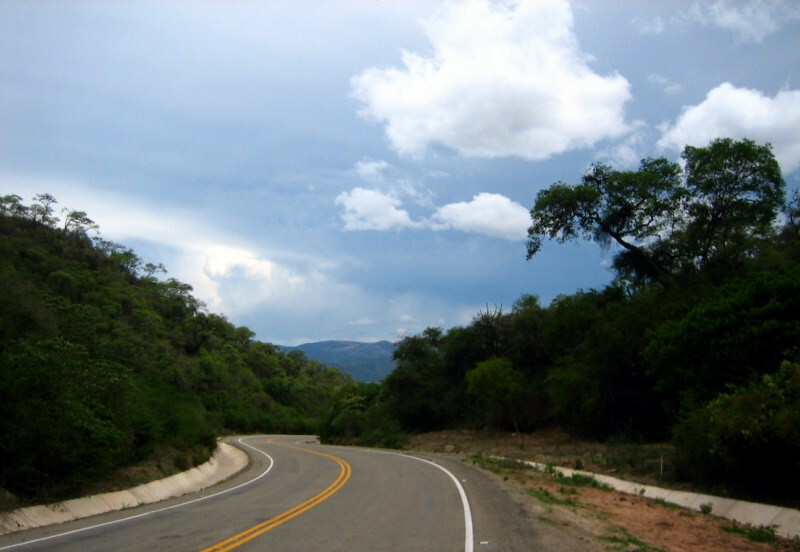 There wasn’t any other traffic and the road was well-maintained, making for a stress-free ride. Looking down on the route as it snaked across the colorful geology. 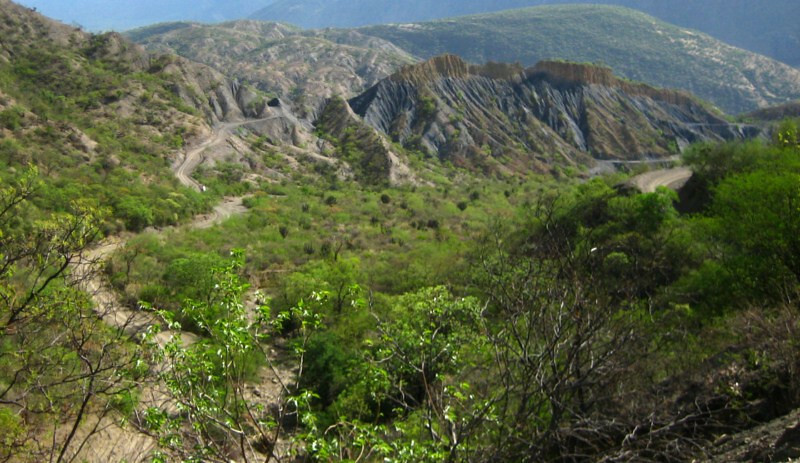 Note the black hill with its yellow razor-back spine. 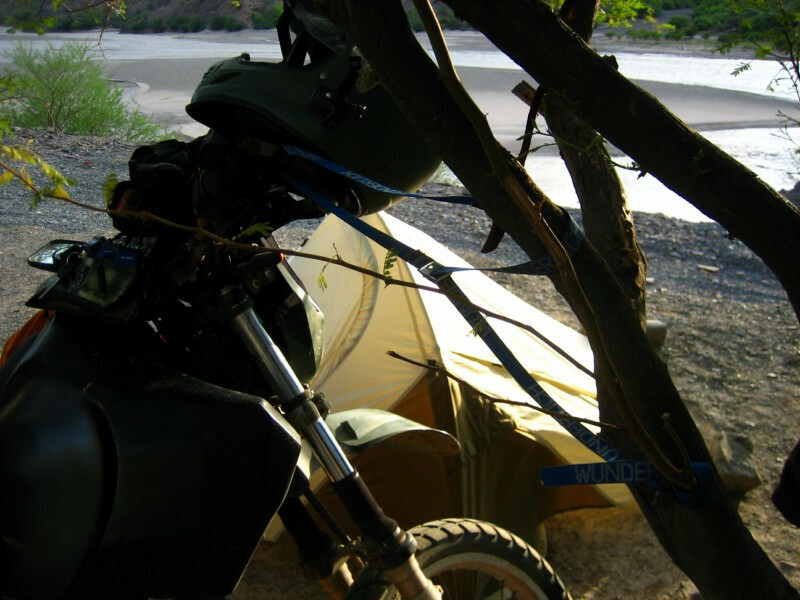 …finding a nice place to camp down for the night. A lady was living in the brick house and was responsible for preparing meals for the once daily bus that passed through here. 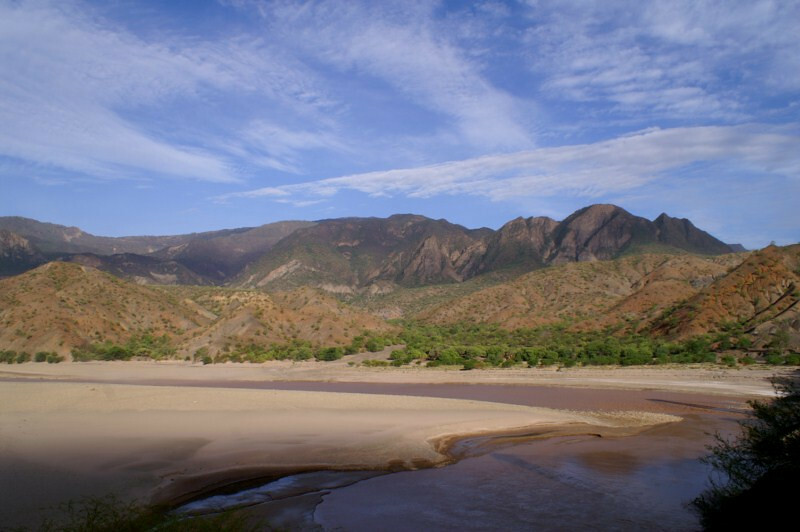 The views were wonderful from the high perch above the broad bed of the Rio Grande, a major tributary of the Amazon. The broad river being funneled through a narrow slit in the rocks, which it cut for itself. 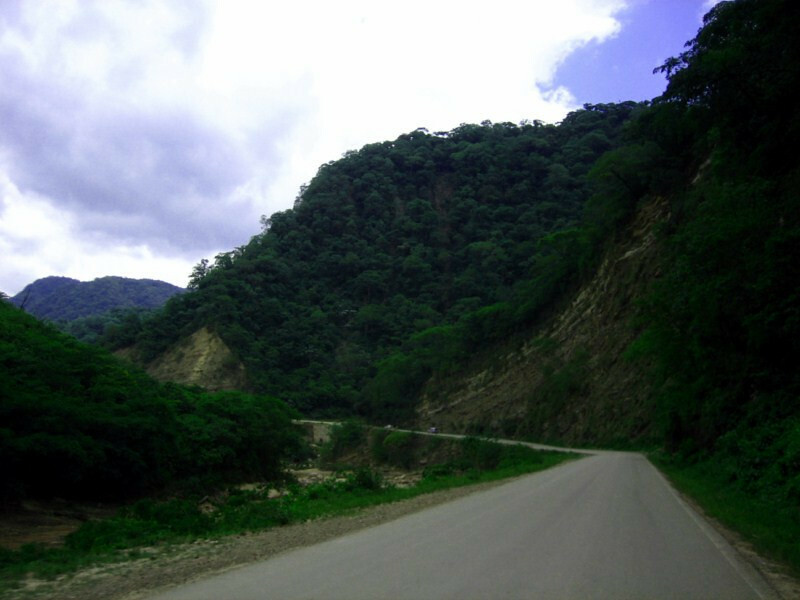 The area is remote with the next major town of Villa Serrano being 75 kms (47 mi) away or heading back about a 100 kms (62 mi) to Vallegrande and the imposition of this new concrete bridge felt out of place amongst all this natural shaping of the land. 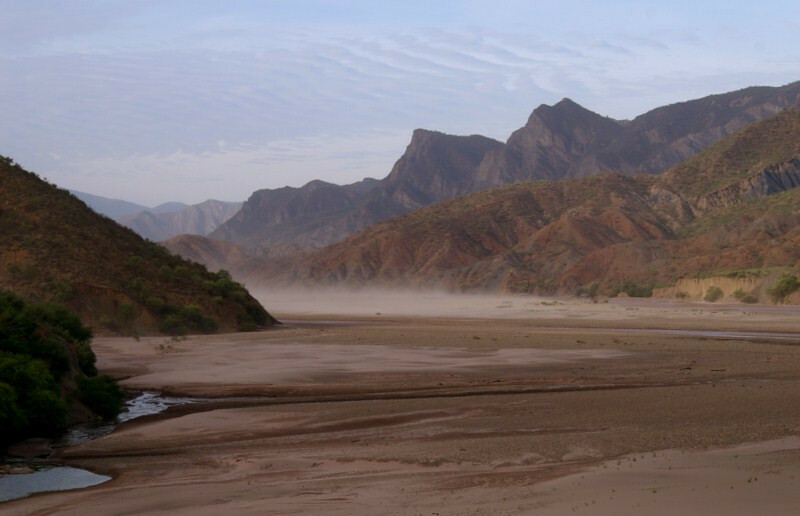 The winds were strong in this valley and it was carrying the top layer of water faster than the rest of it could naturally flow. 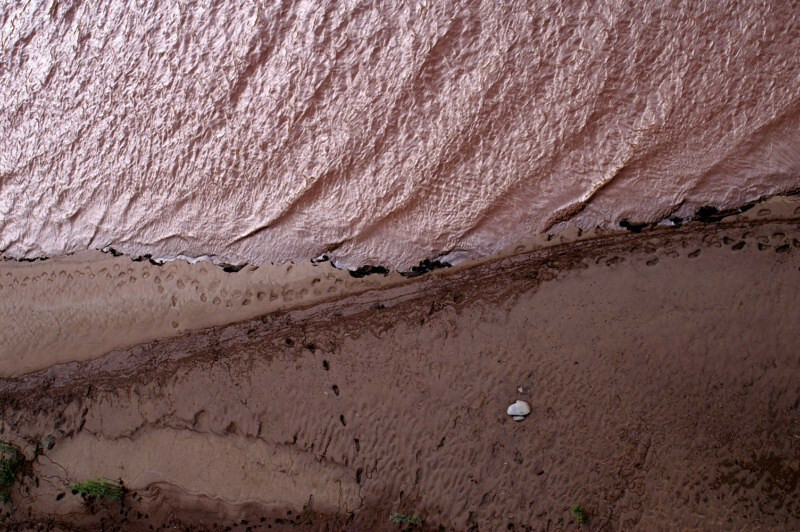 Tracks along the sandy shore. 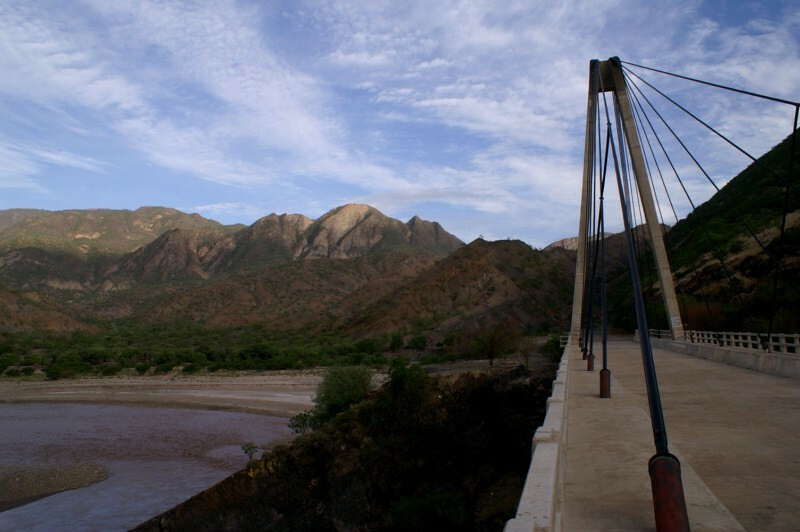 A panoramic view of the Rio Grande river at its lowest point at the end of the dry season from the Santa Rosa Bridge. 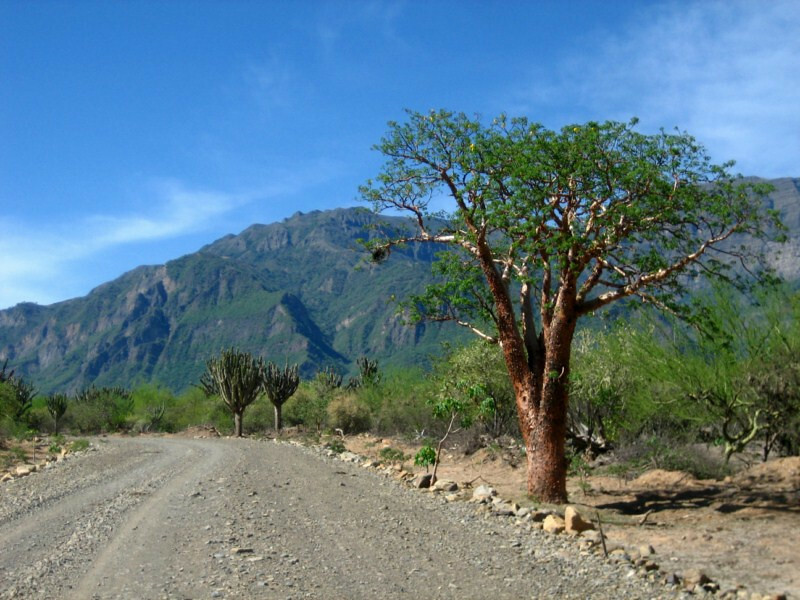 Alfonso told me the rains were late this year, as it’s becoming more expected with climate change. While that’s not good for the natural world, it made riding through this area at this time of year possible. The strong winds kicking up a dust storm further up the valley. 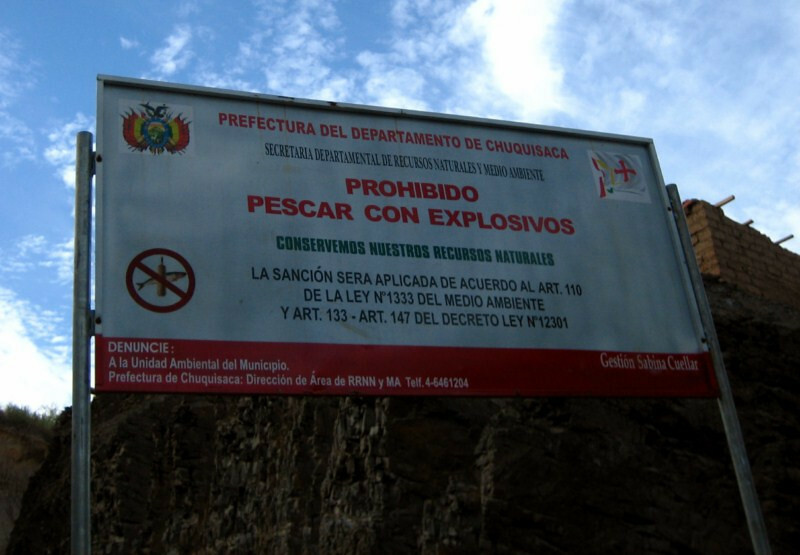 And just in case, you’ve been warned: no fishing with explosives. Crazy construction crews. 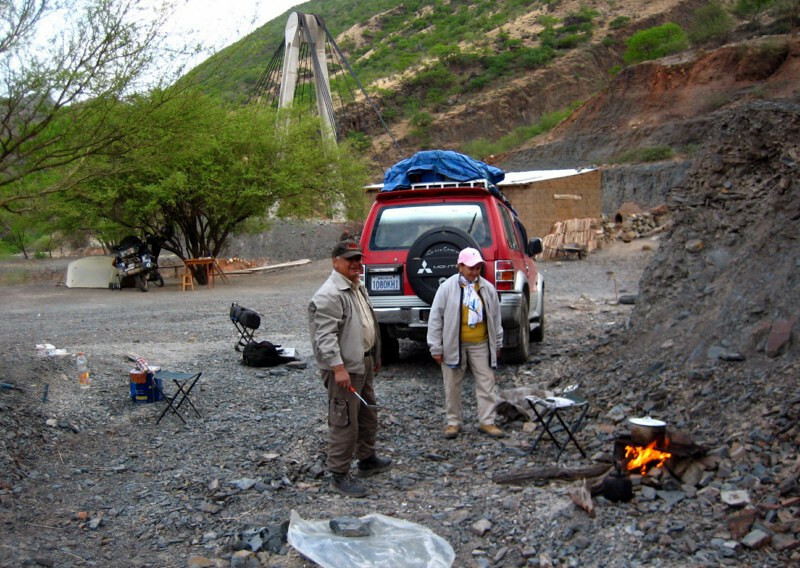 Camped across from me was this couple from Sucre, Hugo and Miriam, who were on their yearly ten day camping trip of this area in their Mitsubishi Pajero. They were boiling rice and invited me for dinner. 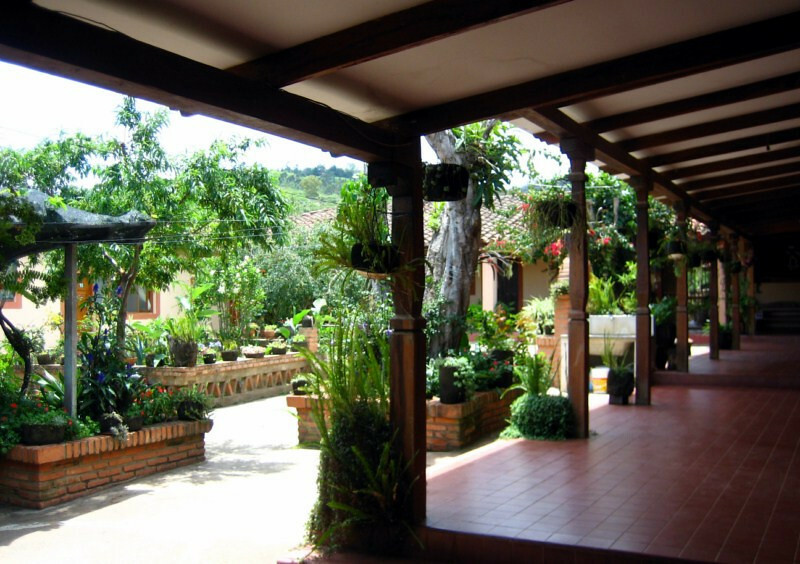 Capturing some beautiful light from the setting sun, shining the path I would follow the next day to Villa Serrano. 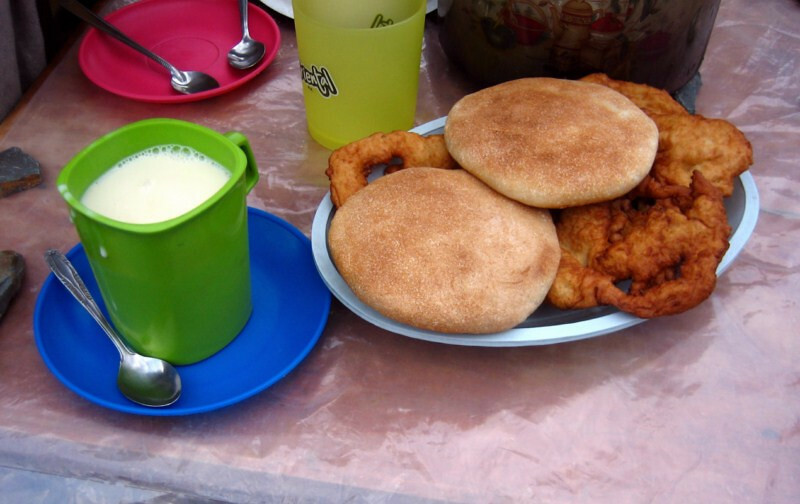 Their primary meal was rice with condensed milk with fried and baked breads. We talked and exchanged traveler’s stories and Hugo wanted to practice his English, having a few kids in the US. 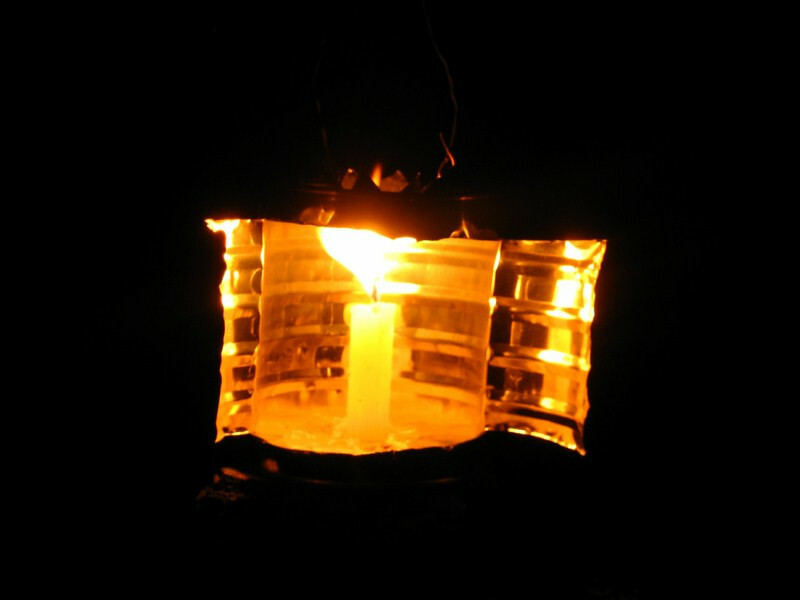 I liked his lantern idea where a coffee can was cut in such a way to reflect out the light from one candle, creating a more luminous atmosphere than was possible with the same candle out in the open. This also protected the flame from the strong winds. He was very much a do-it-yourselfer, regarding living on the road, but they yearned for a more spacious, proper camper van. 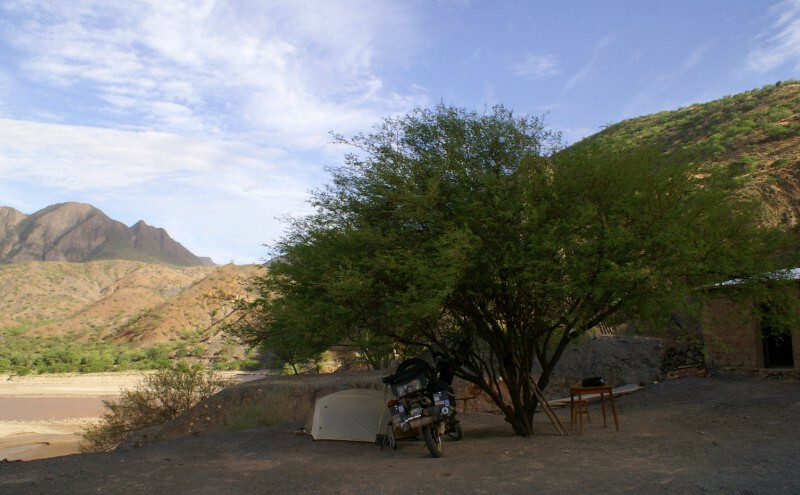 I anchored sanDRina to a nearby tree with one of my Wunderlich luggage straps to keep her from falling down in the night from the heavy winds and who knows if it would have worked, but that’s all I could do. 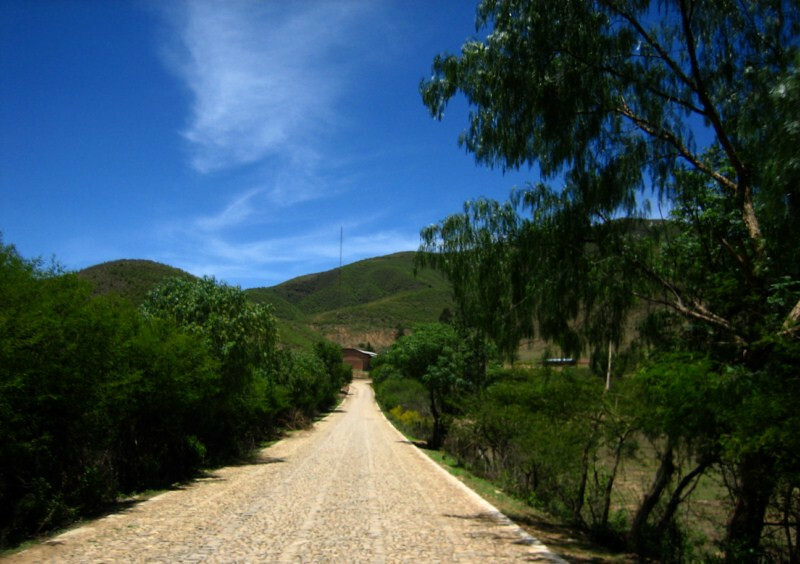 Heading along the western side of the Rio Grande valley on my way up to Villa Serrano. 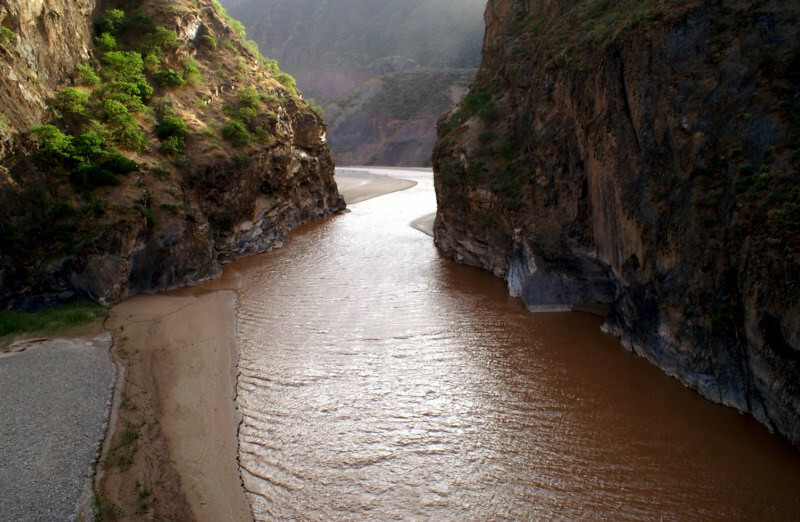 The Rio Grande must be really grande at the end of the rainy season, spanning the entire river bed. 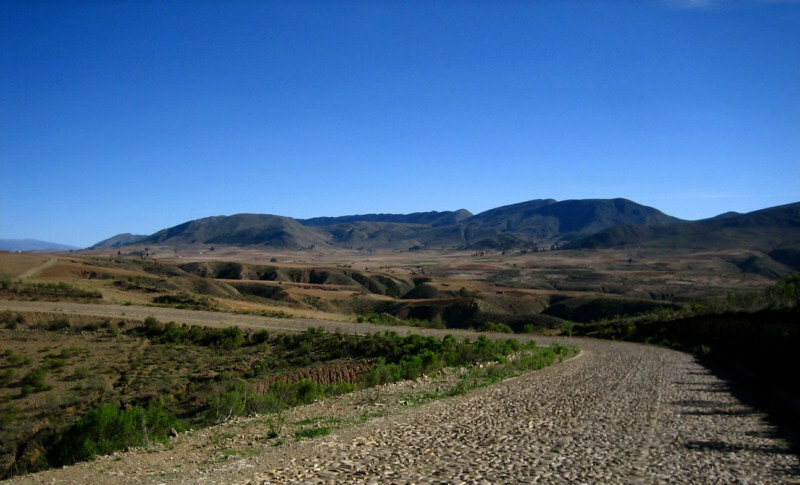 The route passed through a different kind of geology from that of the previous day on the other side of the valley. An interesting looking tree that looks like two or more trees are joined near the base. 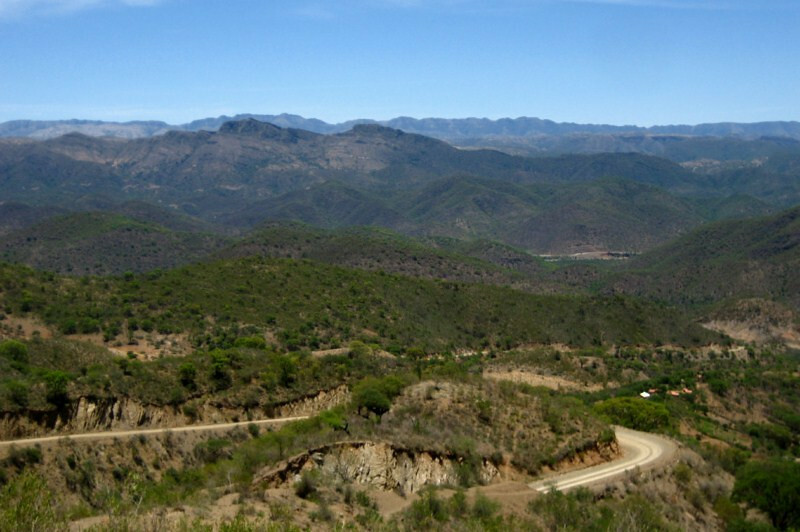 A wide-angle view of the route and the terrain it was heading through. The temps were rising faster than I was gaining elevation and I took breaks in the shade. 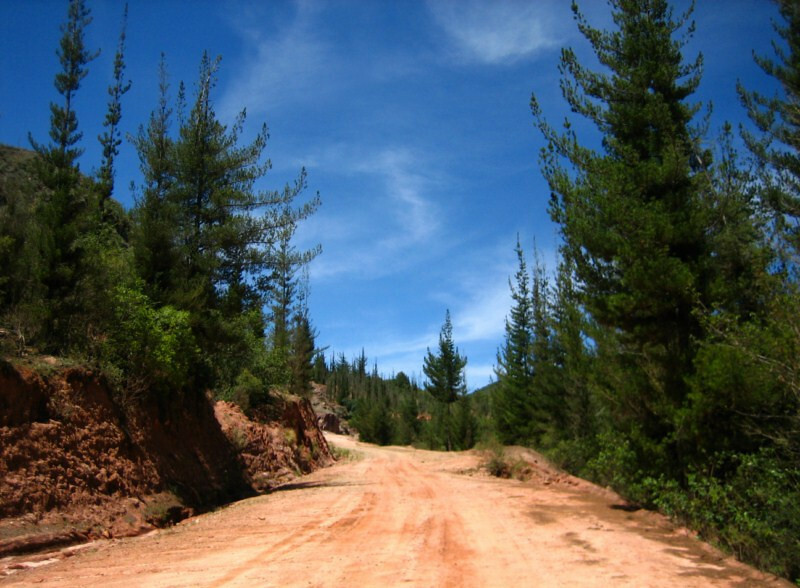 Passing through 2,100 m (7,000 ft) marked a change in the flora with pine trees taking over. 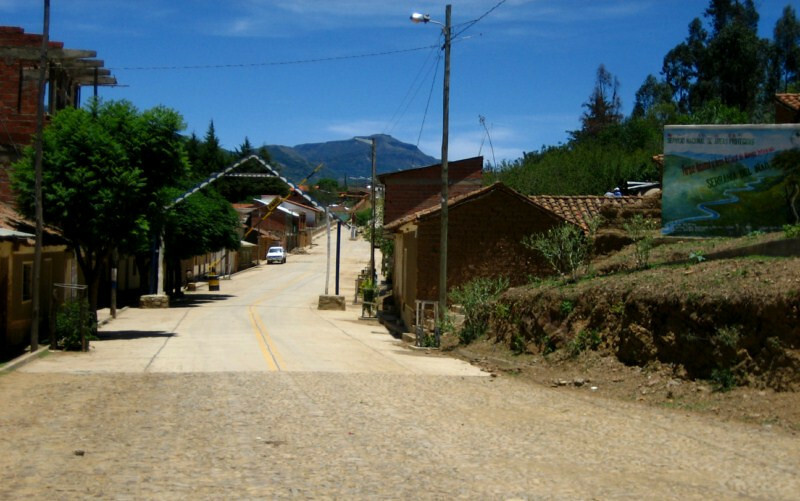 Pulling into the small, mountain village of Villa Serrano where the only petrol was sold out of barrels at a 20% markup from the fixed price. However, a proper petrol station was only another 100 kms (62 mi) away. 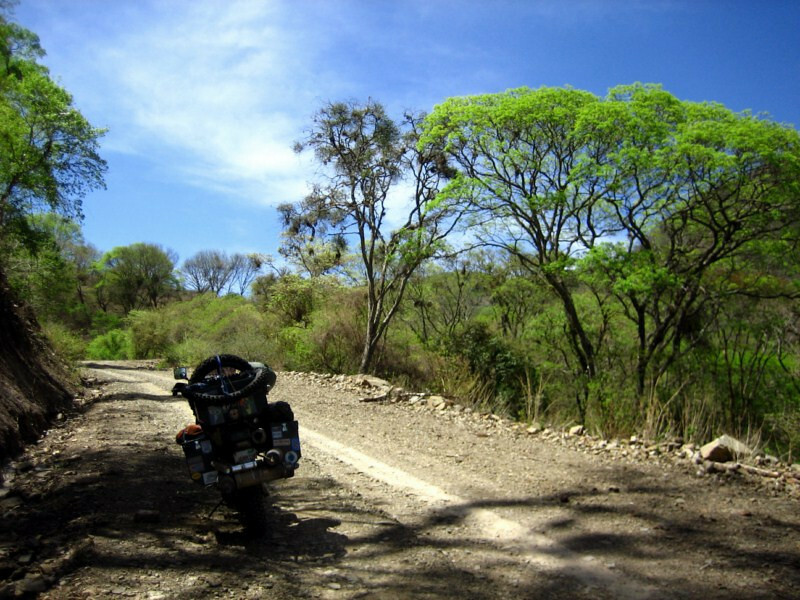 As a stage before paving with asphalt, sections of the route were cobble-stoned and this makes for a vibration-induced ride on motorcycles. 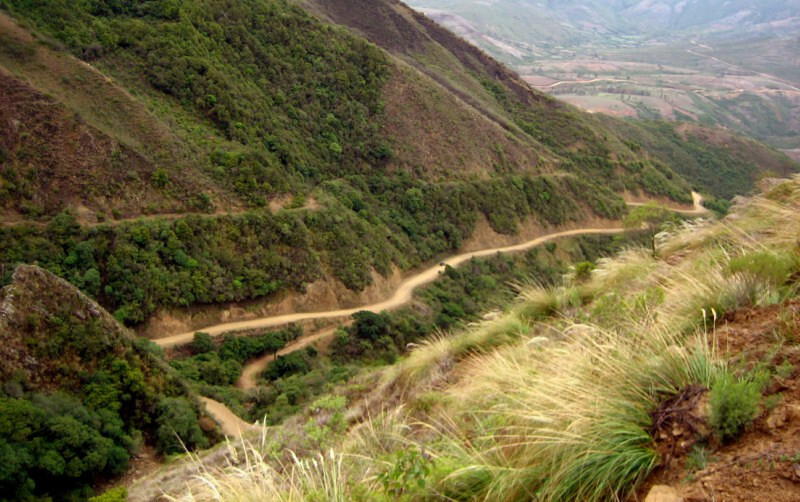 A hairpin turn as the road dropped down into a valley. 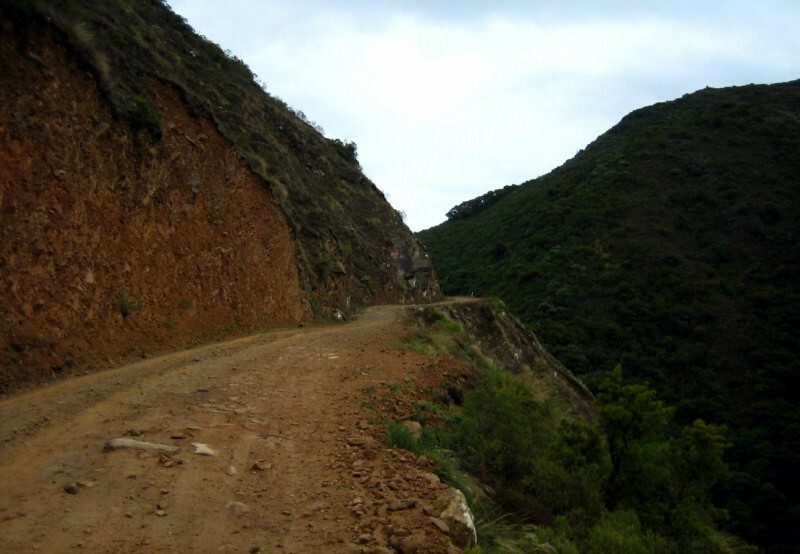 At least the cobble stones allowed you to know with a bit more certainty the condition of the road around a bend, so if you could get over the vibrations, it wasn’t an undesirable surface. 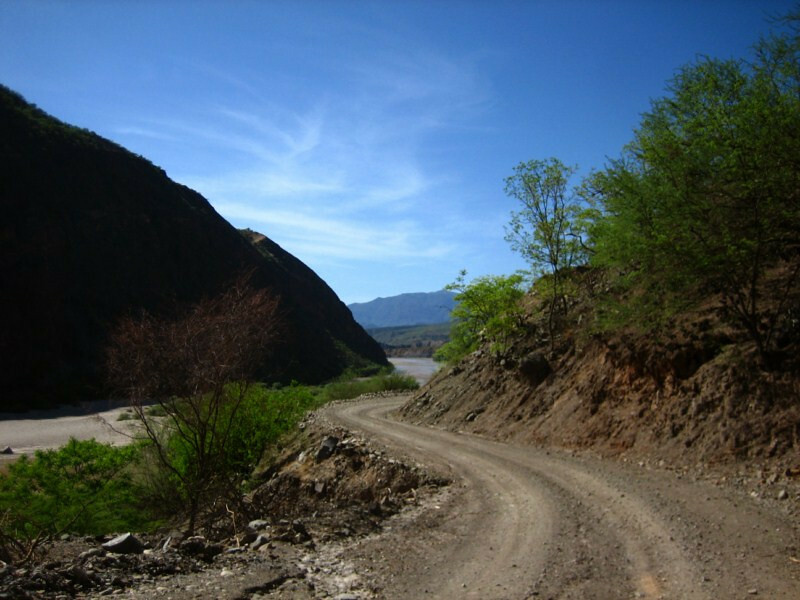 While the new road is being extended from Tarabuco, the route still follows the old tight route through a narrow canyon. Elevation was around 2,730 m (8,955 ft). And a high-pressure natural gas pipeline follows the road, reminding me in miniature of the Dawson Highway and its companion in the Alaska Pipeline. 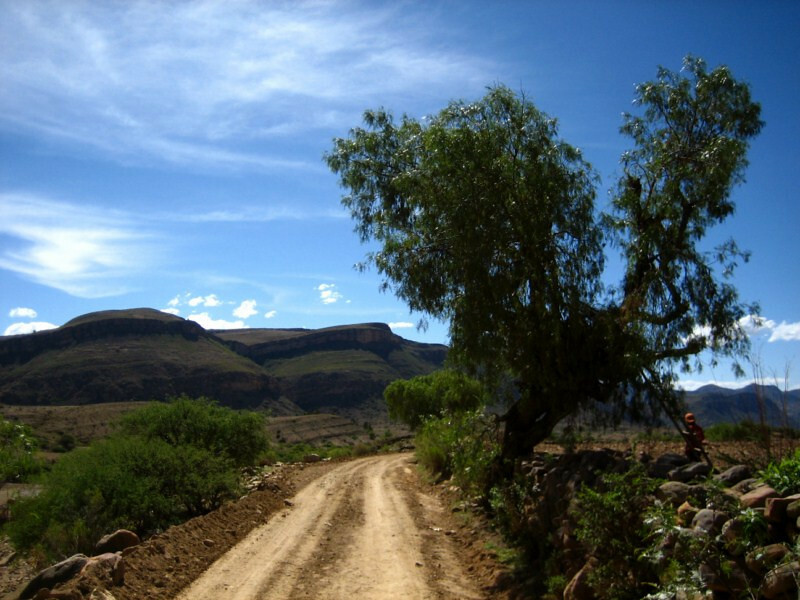 There were very few inhabitants along the route but a few farmers were out ploughing the land and tending to their livestock in his arid environment. A wide-angle view of the valley the road dipped down and quickly crossed before climbing up the other side. I got used to the vibrations from the cobble stones (even with reduced tire pressures), but sanDRina showed some fatigue and a part of the luggage frame cracked where there was a heavy tool tube dangling from. Putting air pressure back in the tires upon reaching pavement in Tarabuco. It took longer than usual for the little air compressor to get the job done with the thin air at 3,050 m (10,000 ft). 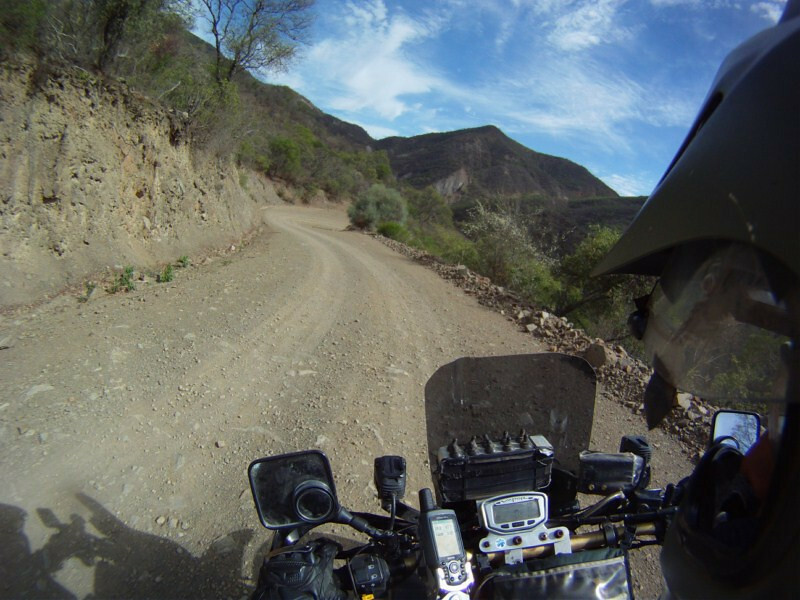 Riding into Sucre and that concludes the Ruta del Che, an amazing route through remote southeastern Bolivia with a dash of modern revolutionary human history thrown in with buckets of much longer geologic history. Enjoying the great views of Sugarloaf Mountain and the beautiful city that'sRio at sunset from Corcovado.